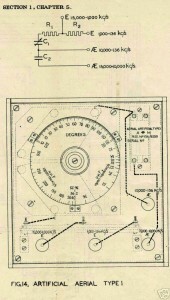 Overall description of the receiver as a direction finder. 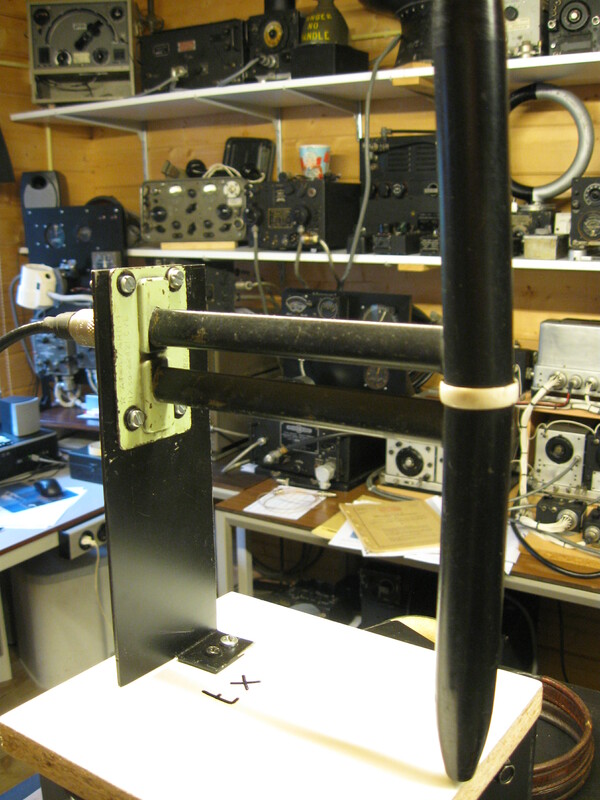 This is a receiver, part of the Geman “PEIL G 6″ aircraft installation called “Peil Gerat 6″. 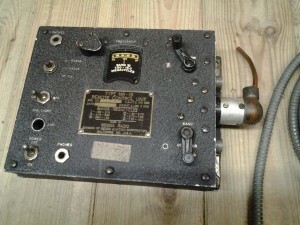 een placed instead of the E10L receiver. This was called the Fug10P (Peil). 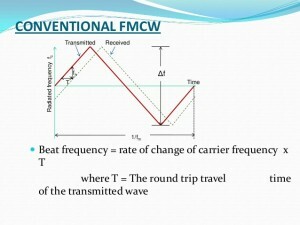 There are 3 frequency bands: 150 -300 Kc, 300-600 Kc and 600- 1200 Kc. Upper left knob: A2 is AM, Eich is calibrating the frequency, A1 is BFO is used by navigating, Bandbreite is making the MF smaller. Middle knob: tuning the frequency. Lower left knob: gain controll. 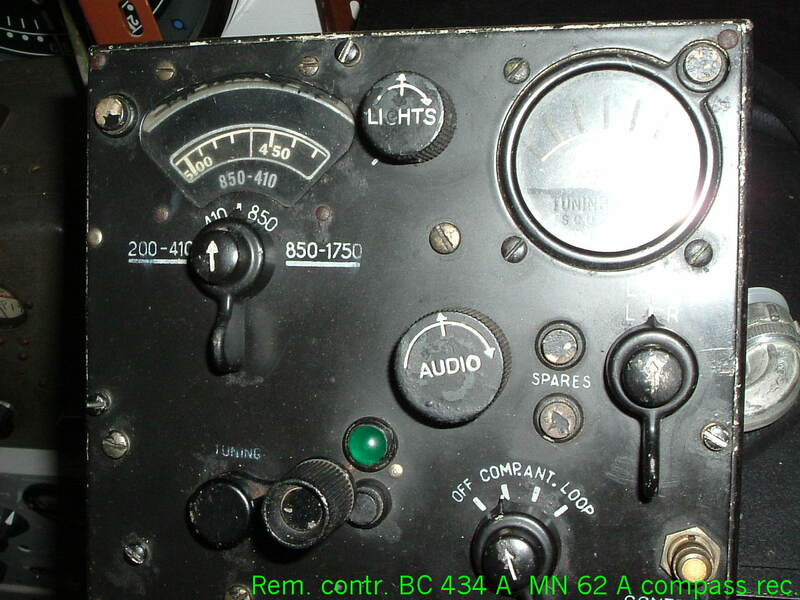 Lower right knob: arrow is navigating by a double needle instrument type AFN2. Circle is “Rund Empfang, frequency band 300 -600 Kc. Communication purpose as a replacement band for the E10L. 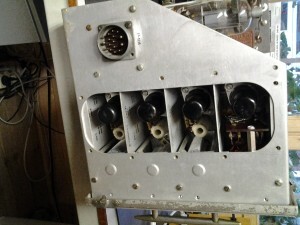 Lower middle: connection for headphones (left) and test entrance for test meter PV10 for measuring the internal voltages. Small upper right panel: Behind the trim pot for calibrating the frequency scale. The inside of the EZ 6 receiver. Note the text on the pictures for removal of the various part blocks and connections. 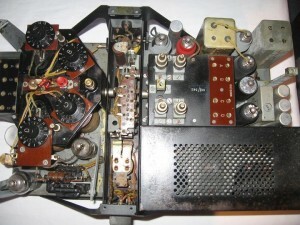 The front with cover panel removed. The block units from the receiver from behind. 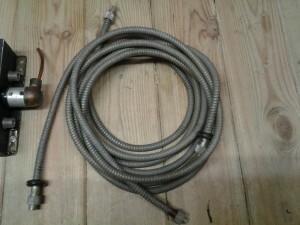 A connector of a unit. Here to be seen the contacts of band switch. 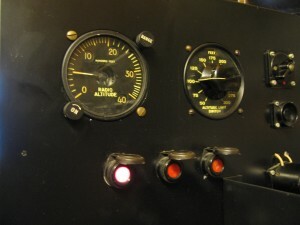 Right the opened oscillator unit. Oscillator case with circuit removed. 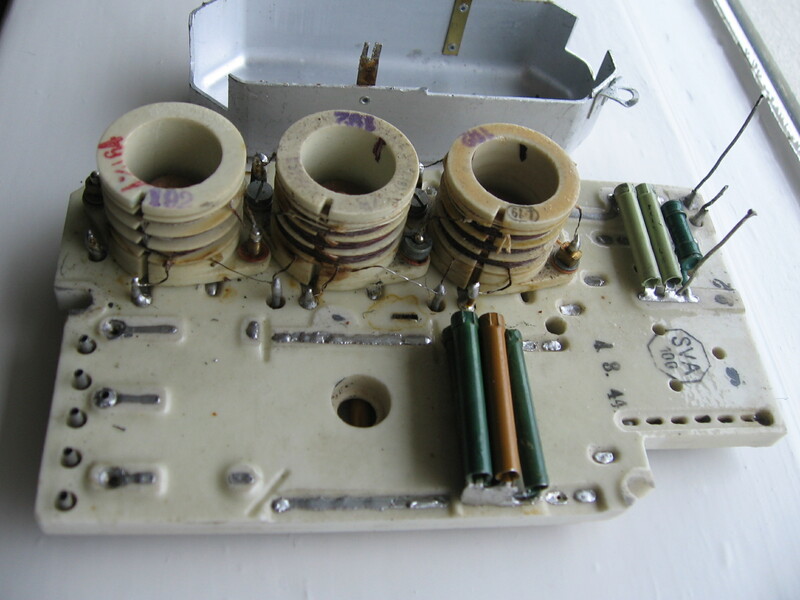 The removal of the oscillator ceramic plate. 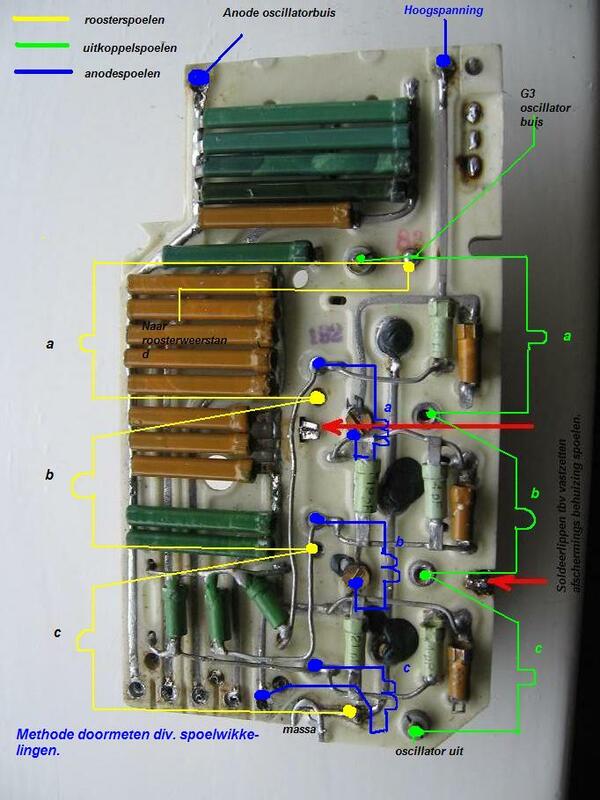 The green points are the data, where the wires, comming from behind the ceramiec plate, have to be desoldered. 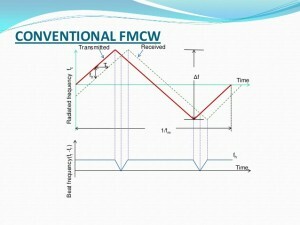 The three wave band coils of the oscillator. 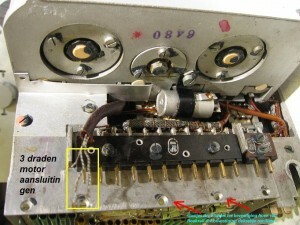 Above in the picture, the metal cover of the coils. The connections of the coils, the grid, anode and coupling coils. Very handy for measuring the coils. 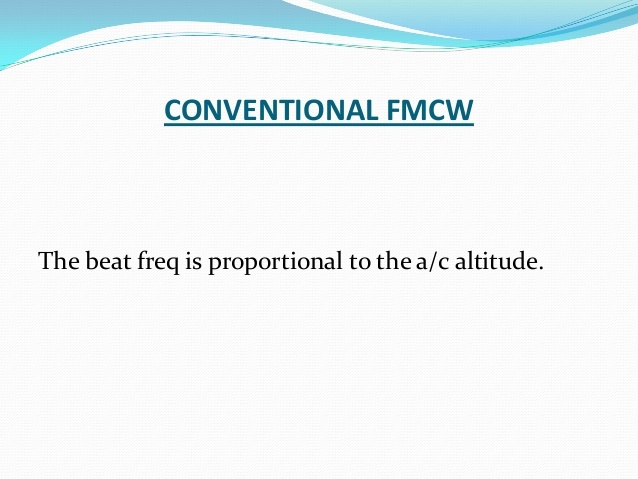 Temperature compensation for to stabilise the frequency of the oscillator circuit of the EZ 6. 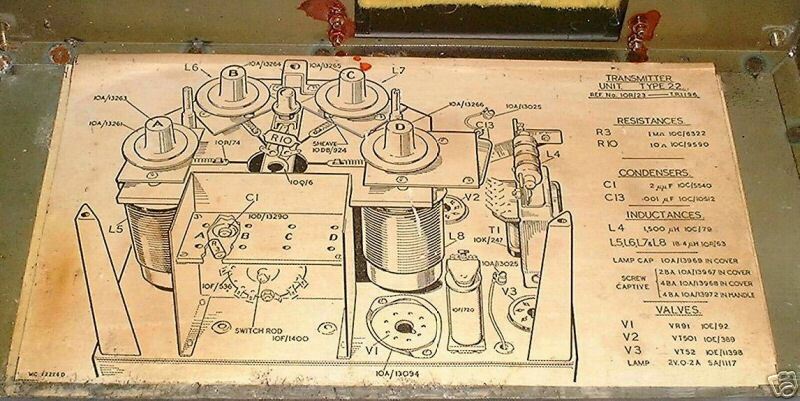 All the components of it are mounted on a ceramic plate as a printed circuit, which was very revolutionair in that time, nowadays very common. This has a very good effect at changing wiring capacities, due to warming up of them. Also mechanically very stable to heavy shocks. Other provisions were these ceramic condensers in parallel , which have a temperature coefficient control. When they get warmed up by the air in the small cases of equipment, their capacity values changed that way, that frequency stability of the oscillator is improved. These special condensers, you can see in the picture above, the green and brown condenser blocks. 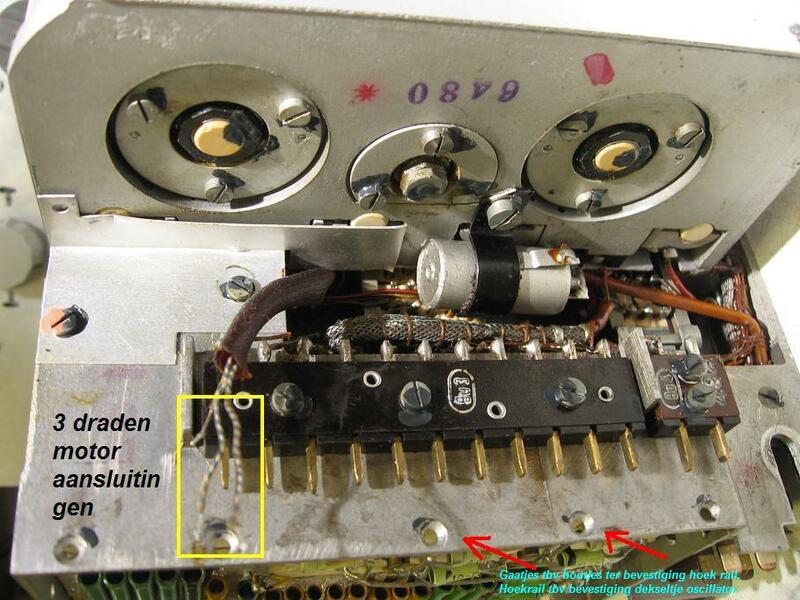 On the printed circuit plate of the oscillator ceramic plate in the left side of the picture above, you see these green and brown condenser blocks. 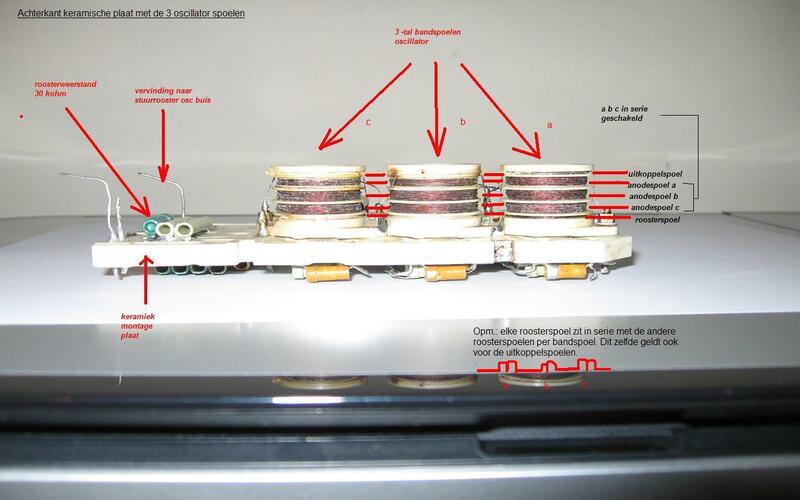 All ceramic condensers, in parallel, are placed over the the inductancies in the circuitry. About these condenser blocks, there was another type with ceramic ones with different specifications . 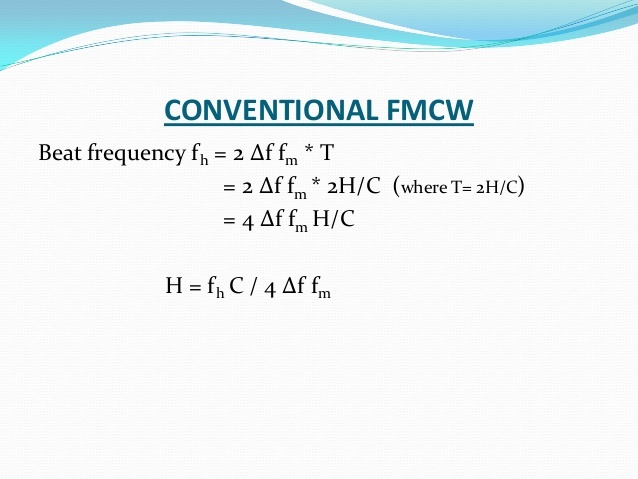 Different from these of the temperature coefficient types. It is so special, that I like to tell something about it. 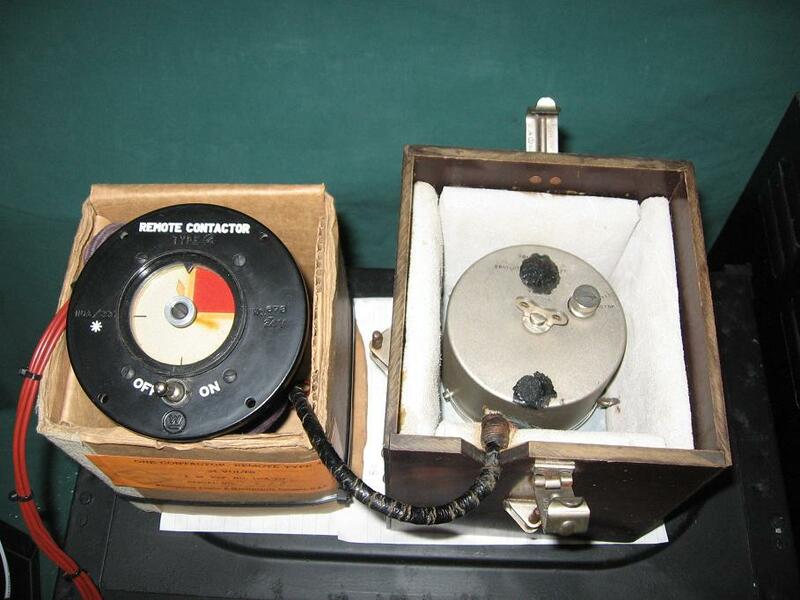 One is a special, great type of ceramic condenser, which proof the great knowledge of German engineers in that time. Consider, it is now more then 70 years ago! 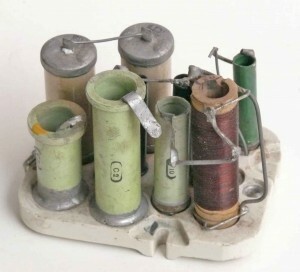 These were made by the German manufacturer Hescho, who patented it, and made also the ceramic coils holders and variometers. The ceramic condensers are very special made. In fact, they are very bad condensers with a big dielecric loss with a particular temperature coeficient. Let us look at the internal capacities between the anode and grid and between kathode and grid, eg. 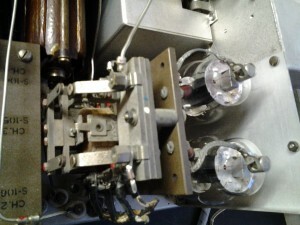 Cga and Cgk, of a radio valve. When the radio valve is warming up, and getting warmer and warmer, when it is delivering power, the anode dissipation is increasing, these capacities are changing, the value is getting higher. So the frequency of the oscillator is changing and getting lower. Characteristic curves and values are well known for each type radio valve. Now we look at these special ceramic condensers. When HF energy is applied on these condensers, by the energy of the oscillator, the dielectric electric losses of it changes by heating up of his body, so the value of capacity getting lower. Hescho managed to measure that amount of dielectic loss in these capacitors. 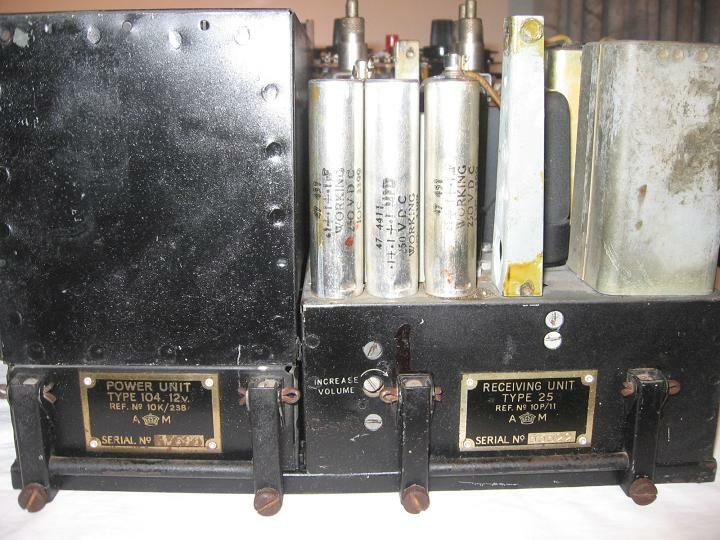 so they could produce a large variety of different losses factors in the capacitors very accurate. 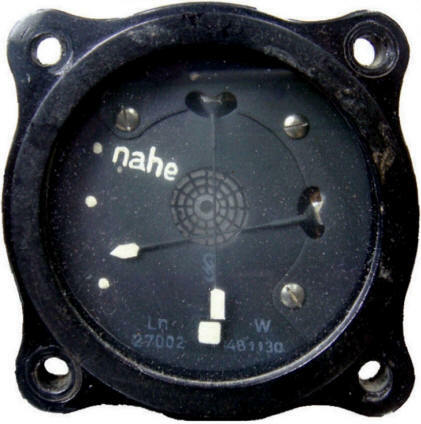 That is just what we need to compensate the frequency change, established by the warming up of the valve , so the anode, by the increasing anode dissipation. This proces is acting much faster, then the influence of the temperature compensating material, in circomstances that the valve is switched off, so cooling down, and later switched on again. Consider, that the remainig heat in the cabinet of this valve is still reaching the temperature compensation material, while the valve has been already switced off for a while. 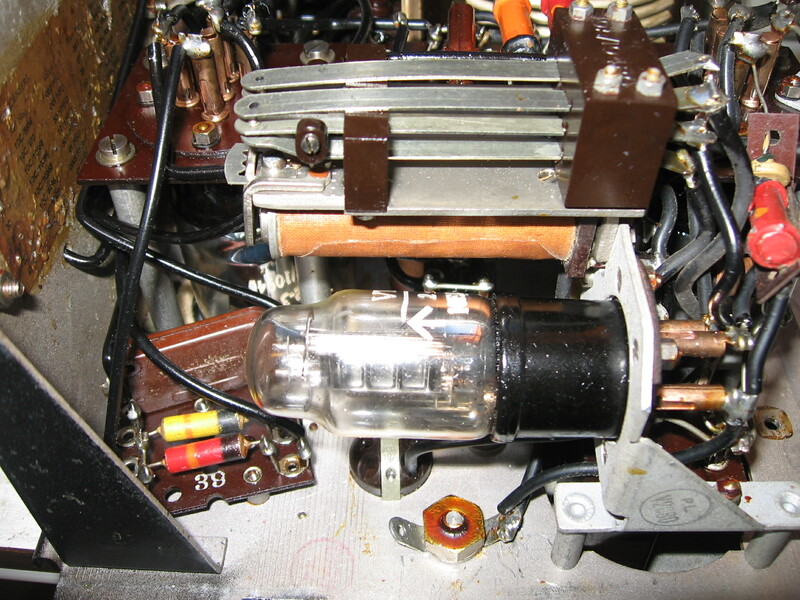 So they made the curve of these combination of condensors that way, by putting several of these condensers in the circuit, that it is compensating the changing valve curve. 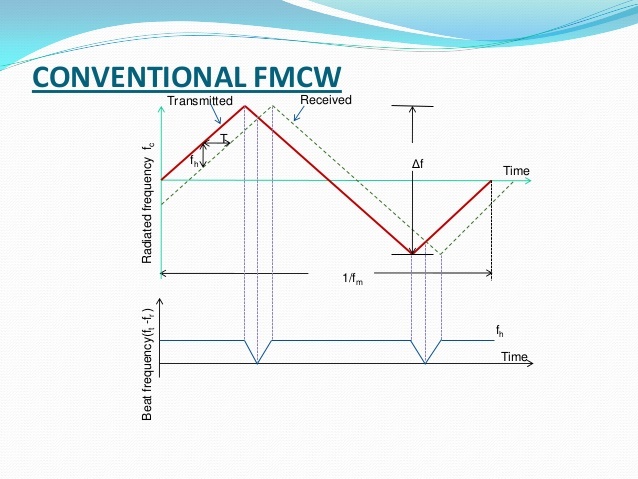 So frequency stability, needed in such circumstances in the airplanes, was increased well , especially in these oscillators. 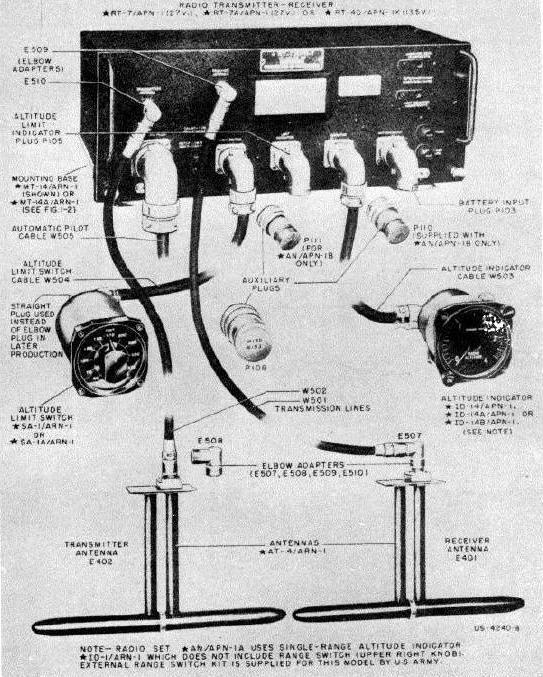 Note that the German equipment, especially transmitters, were not crystal controlled by lack of crystal material, which had to come from abroad and was of course not delivered almost in that war time. But these condensers were probably only made for oscillators, not crystal controlled, of transmitters. 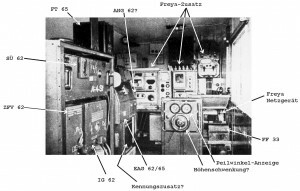 You can see this arrangement in the various transmitters for navy, the LO40K39, the MOPA transmitters of the FUG 10, S10K and S10L. 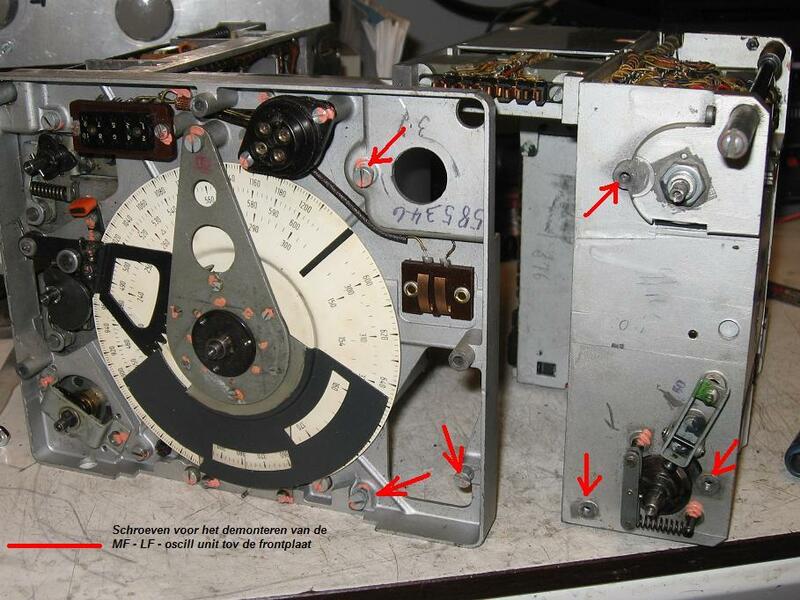 Even, I saw it in the oscillator part of transceiver FU Sprech- f of the army. But these were probably only condensors with a temperature coefficient. In these MOPA transmitters of the FUG 10, this stabilsation method is most effective. The heat is much in the transmitter cabinets. The oscillator stage, a RL12P35, had to deliver much driving power, so getting very warm, by his big anode dissipation, for driving the power amplifier of 2 RL12P35’s, to let this amplifier provide 60 watts on CW. 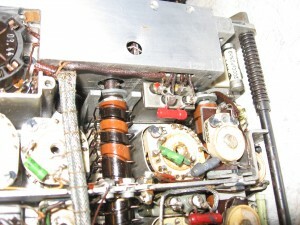 Below a picture of the condenserblock in a S10K transmitter. In my working FUG 10, the frequence stability is amazing, while the transmitter cabinets are pretty warm. The oscillator is of course not crystal controlled! 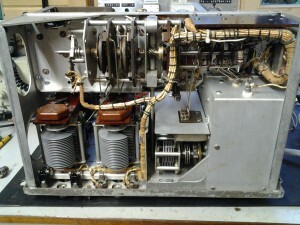 The condenser block of the S10K transmitter. At the right, a kind of printed circuit on the ceramic base. I don’t think these condensers with that dielectrice loss were used in the EZ 6. Because it makes no sense. The oscillator in the EZ6 uses a low power valve, the RV12P2000. It delivers low energy to the mixer stage. So warming up of the anode is limited, so his internal capacities. But it might have been? I don’t know. After the war, this manufacturing method of this special condensor was lost and forgetten. 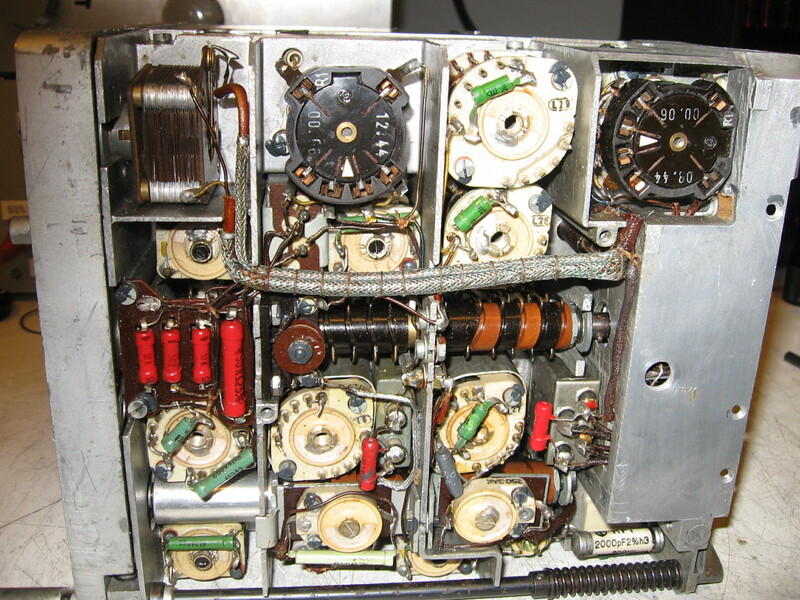 A synthisized module was used in oscillators. 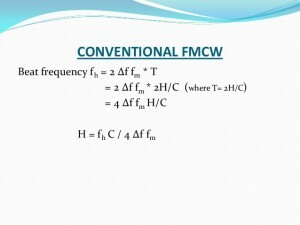 The frequency stability of them, depended on a crystal controlled reference oscillator. In fact a pity, but it worked well. 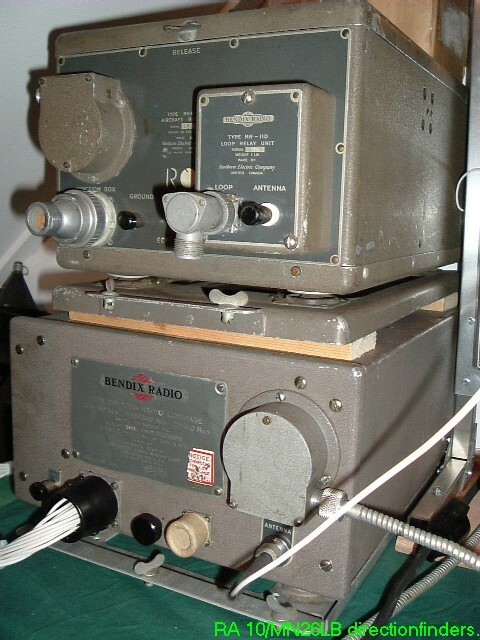 De EZ 6 as a direction finder. 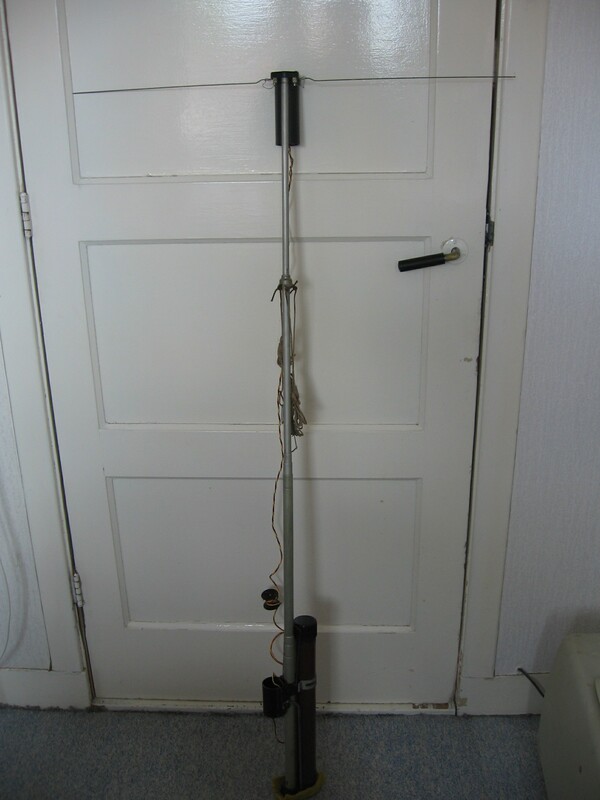 Here the EZ6 receiver as my “Peil G6″ installation. Just at the right above a controllunit. With the switch you can do an automatic DF ,with the amplifier V6 just below the EZ6 and you can do a DF by hand, using the big knob on it by turning it to the left (L) or to the right (R). 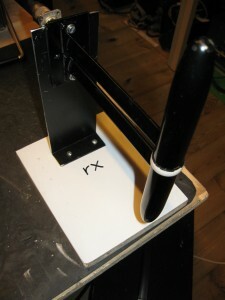 The DF antenna will turn to the left or right .Also the speed of the motor can be tuned. 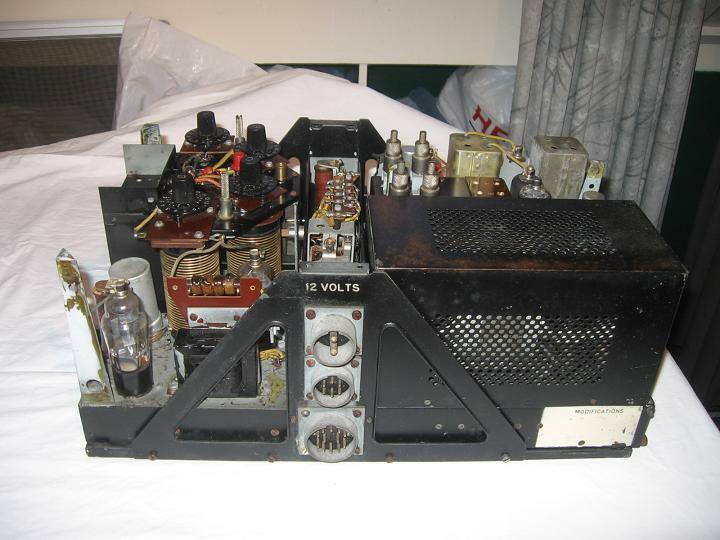 Right below the rotarytransformer U11 for the powersupply. 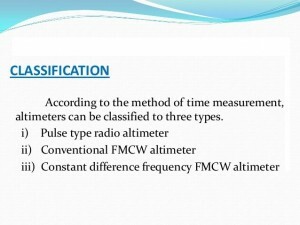 In the middle the DF instrument type AFN2. Just all above the motordrive for turning the DF antenna. Also seen the sense antenna. 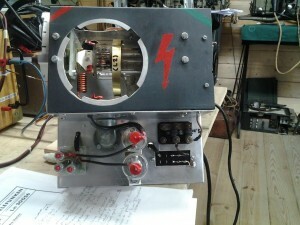 The complete system is a homemade version, except for the PRE 6 motordrive. 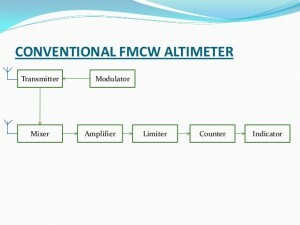 The AFN 1 instrument. The vertical needle is pointing to the dot, when the airplane is at course. The horizontal needle is for the signal strenght of the beacon transmitter. Tuning at maximun signal of the receiver tuning. 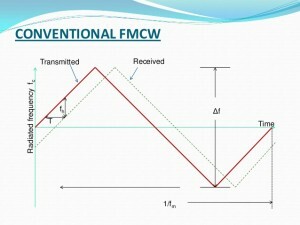 The DF antenna system. 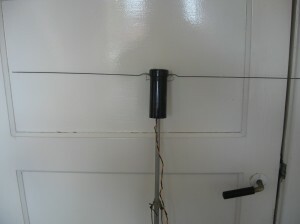 Above the sense antenna (homemade), below the PRE6 motor drive unit. 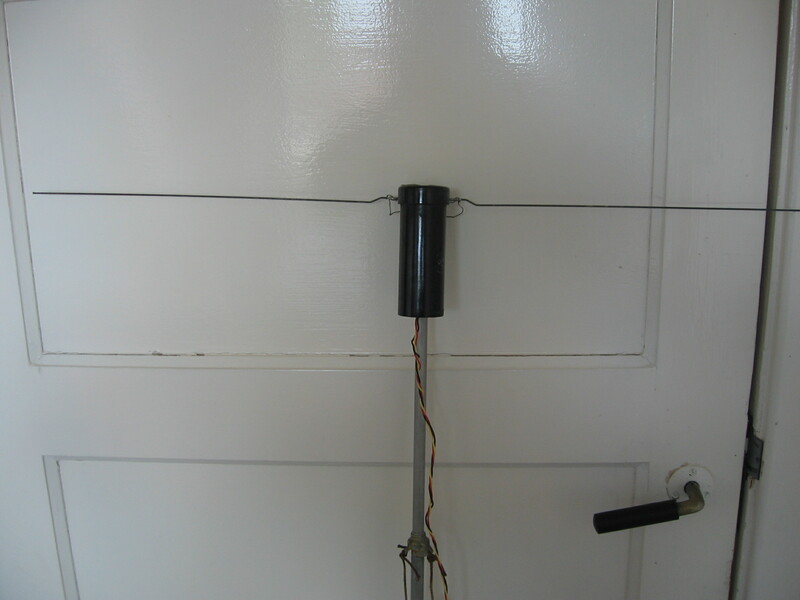 The PRE 6 motor and drive unit above and the ferriet antenne, just below the sense antenna, which is homemade one, by lack of the original one, but works very well. This whole installation (certainly not original) is setup by my own and in fully working condition. 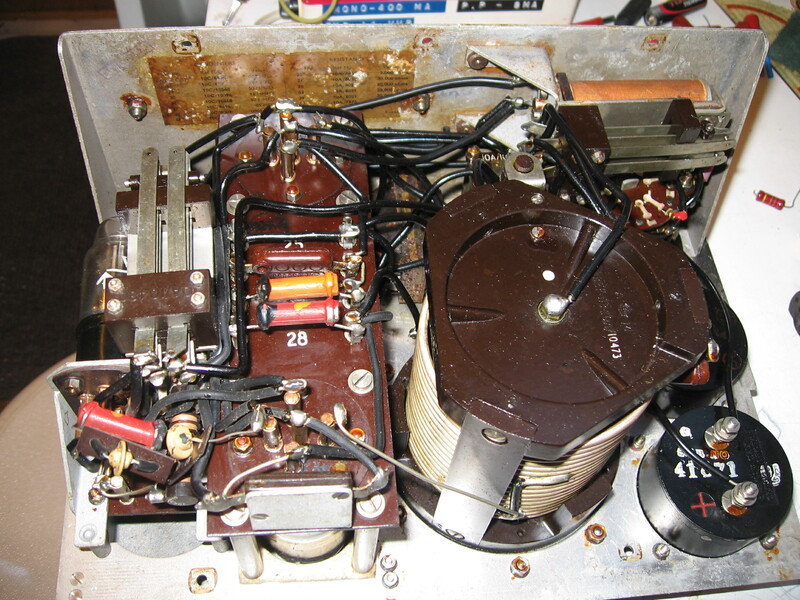 The receiver is fed by the U11a by 24 volts DC. 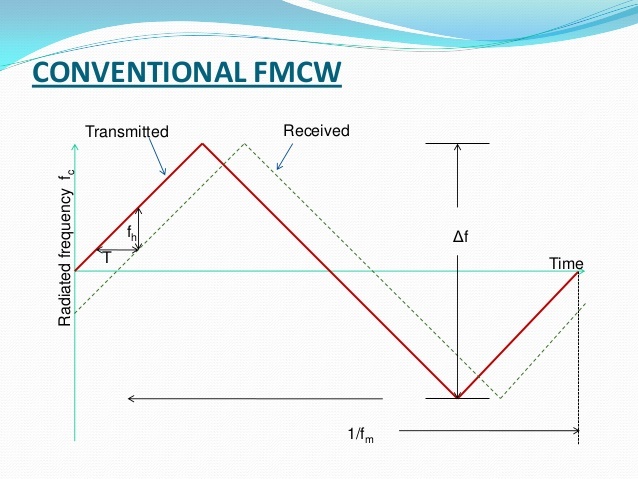 You can find the correct direction by rotating the little ferriet antenne and watching the AFN 1. 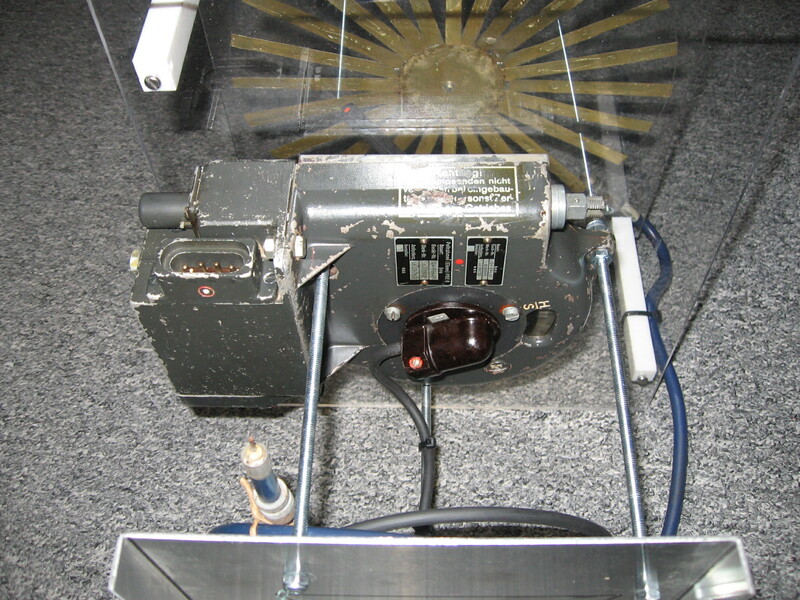 Replica Wurzberg radar transmitter SU 62 D.
Wurzberg Riese transmitter SU 62 D of FuSE 62 D radar. 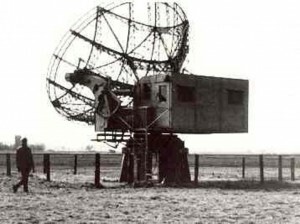 Wurzberg radar is a German radar system from WW2, to locate, mainly allied bomber convoys, on their way to targets in Germany. When located, their positions were given to the Nightfighters from a central command station, to intercept them. When they were in the neighbourhood the picked up the convoys on their own radar on board. A lot of radar systems were spread out over the occupied European countries, coastlines. Their maximum range was 80 km and the working frequency was about 500 Mhz, It even had a IFF system, called Gemse, for indicating weather the convoy or plane was enemy or freind. Its use was still in progress, when the allies made radar systems on 9,1 cm with better valves and more power, the magnetron. 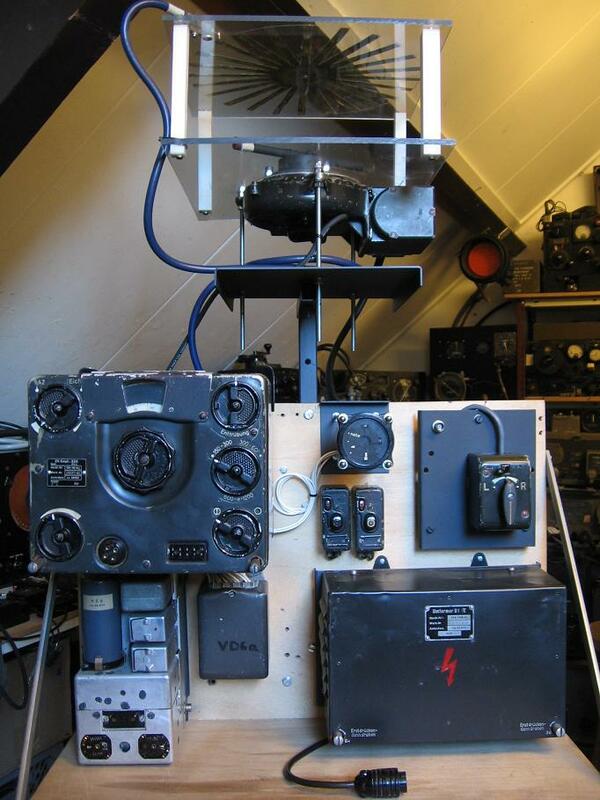 It took a long time, before the Germans were aware of this 9 cm radar. 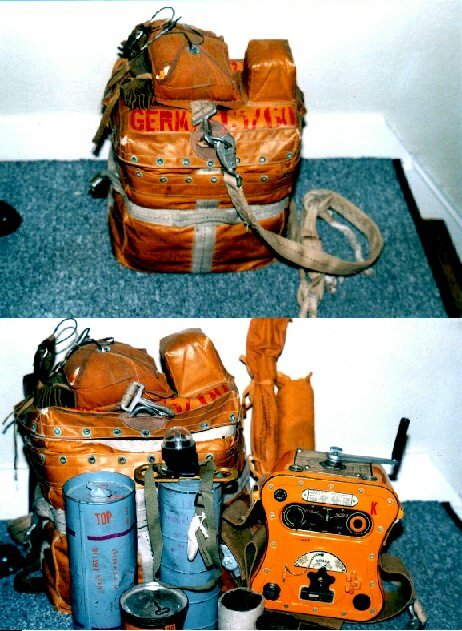 At the last end of the war, they developed also one, called “Berlin Gerat”. They came aware of it, after a bomber plane went down in the neighbourhood of Rotterdam, The Netherlands. Also they could detect 9 cm radar pulses at that time, with a socalled “Korfu Empfanger”, so detecting these radar signals at 9,1 cm. 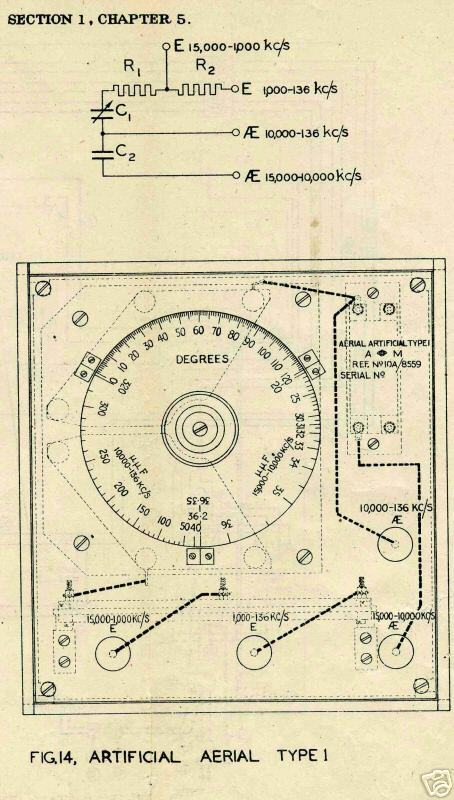 Because I am so interested in all kind of German radar in WW2, also allied ones, I decided to publish a new post of this matter. I have only some small parts of German radar in my collection, because it is most difficult, to collect some parts of these devices. They are very rare. But also valves for very high frequencies and magnetrons etc. are interesting. 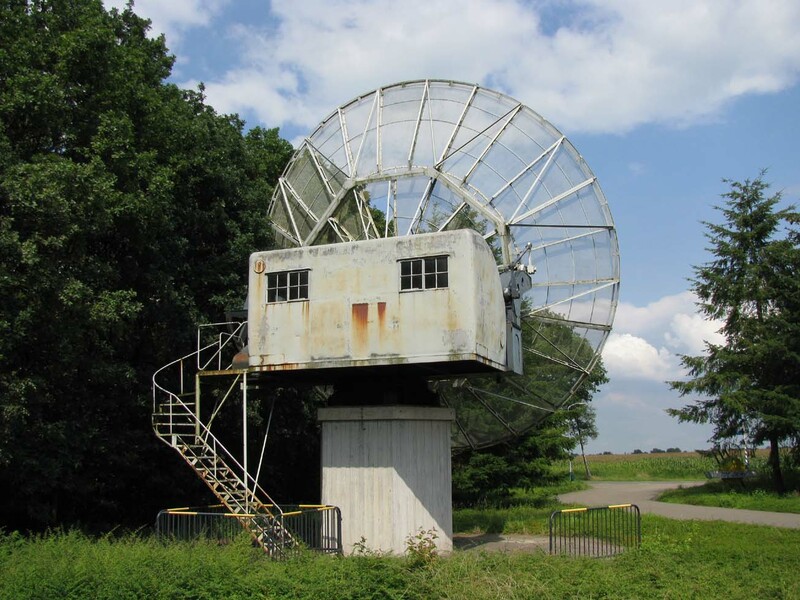 After some visits to the museum of mr. Arthur Bauer of The foundation of German communication and related technologies in Duivendrecht, The Netherlands, I had the possibility to examine his working Wurzberg radar installation. I must say, I was most impressed of it. 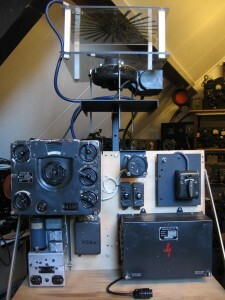 Complete with transmitter, receiver, power supplies, units for measuring the power and a signal simulation unit, called artificial target Rebock, to simulate a reflection target on the CRT. Also the whole system is discribed in his beautiful and professional website. Because I received some LS 180’s recently , the transmitter valve in this Wurzberg radar, I came to the idea to make a replica of the transmitter only, the type SU 62 D, belonging to the Wurzberg radar type FuSE 62 D.
Not having the idea, to let it will work once, there are so many other parts to be need. Just a replica, but it must be possible to let the heater glowing. Also the the length of the lecher lines are not right, but that does not matter, it does not need working. 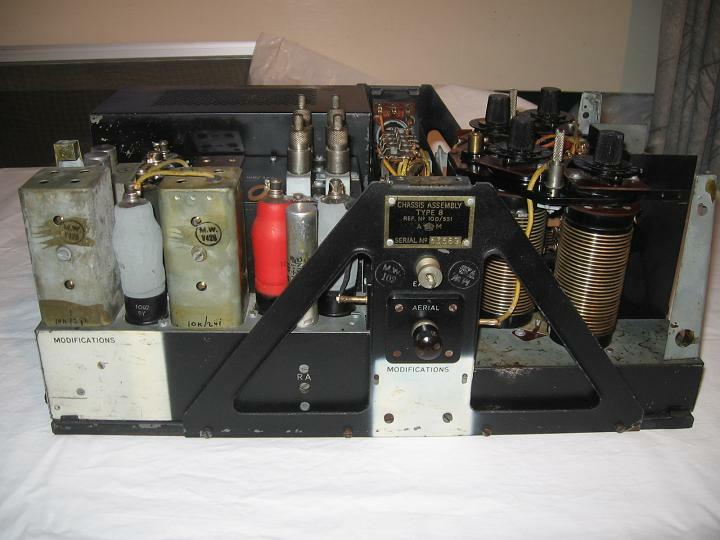 This SU 62 D is a special one, because they could change its transmitting frequency some. 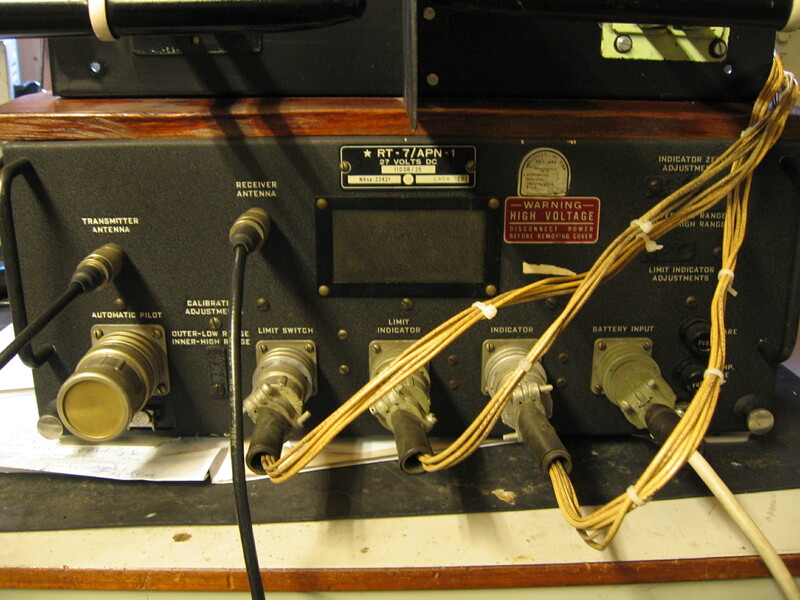 The range was about 485 – 520 Mhz. 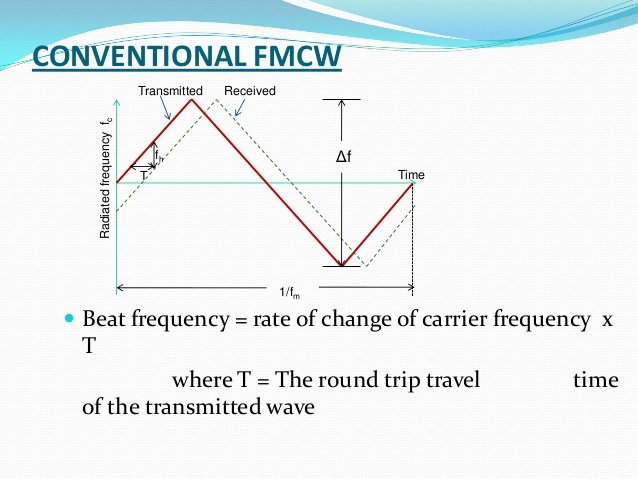 This frequency change was sometimes a must, because of possible interference with allied transmitters. The inside of the Wurzberg housing at the back of the telescope. 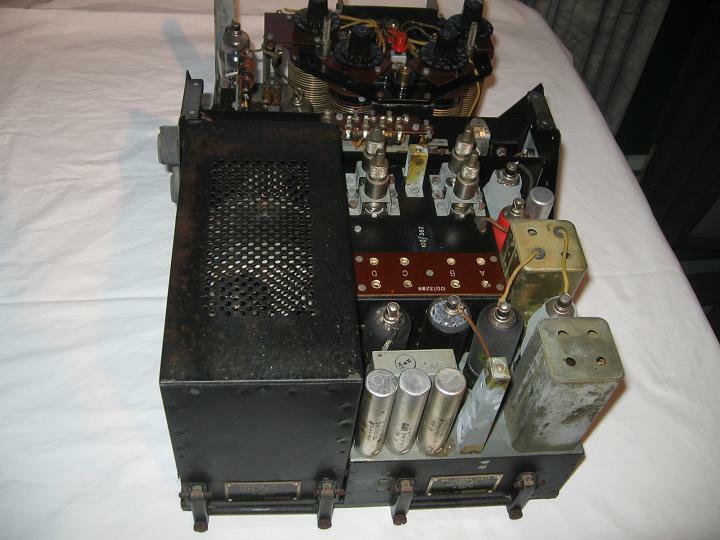 Note that another transmitter receiver (the SU 62 in the picture) is used, then the type , described in this post. 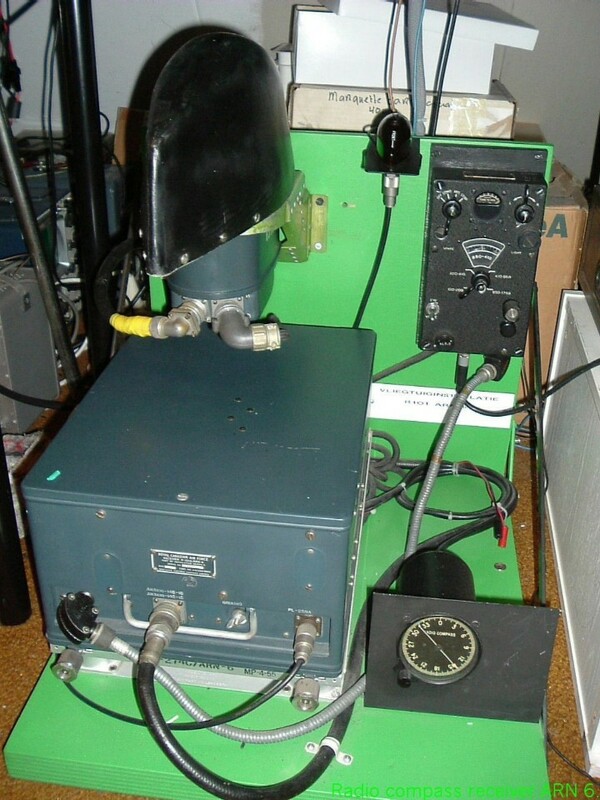 The different transmitter receiver , also Eidechse SU 62 called, could operate at 2 frequencies, 560 en 540 Mhz. The visible A and B on the front indicate it. Furtheron you can see the Impuls generator IG 62, providing the gridblocking of the transmitter. 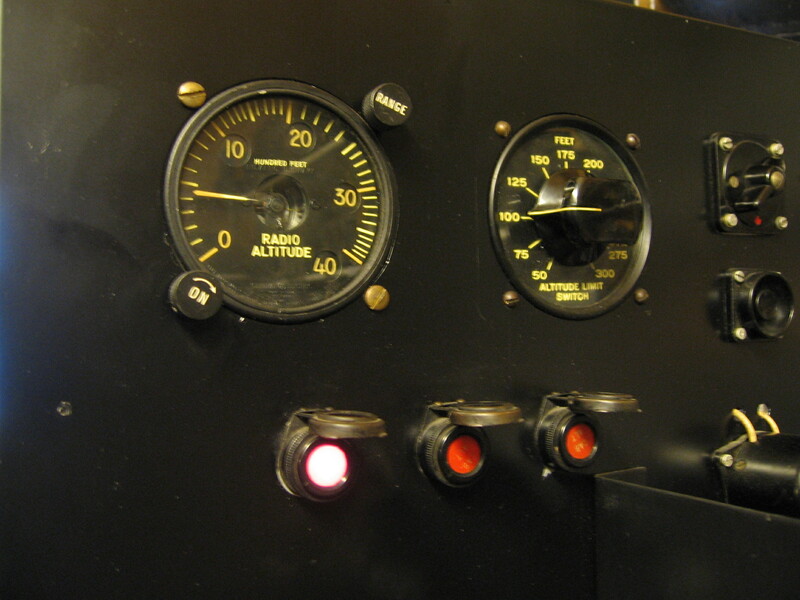 The CRT on the front, a LB13/40 can indicate the controll pulses for the grid blocking signal of the transmitter. 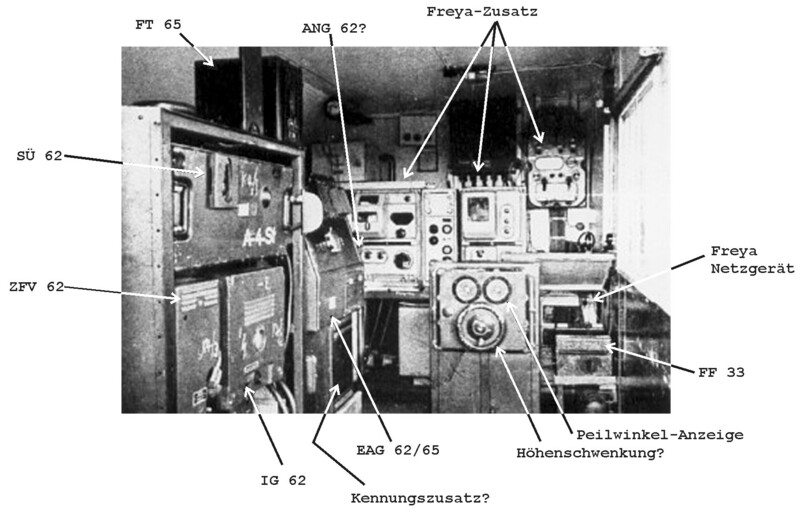 Some below, you can see a original picture of a Wurzberg Riese radar. you can see his size, comparing it with the person in front of it. The reflector dish a 6 meter. in the focus center , some little dipoles are collecting all the reflected pulses, received by the dish. The dish could turn in the horizontal position, just as well in the vertical position. 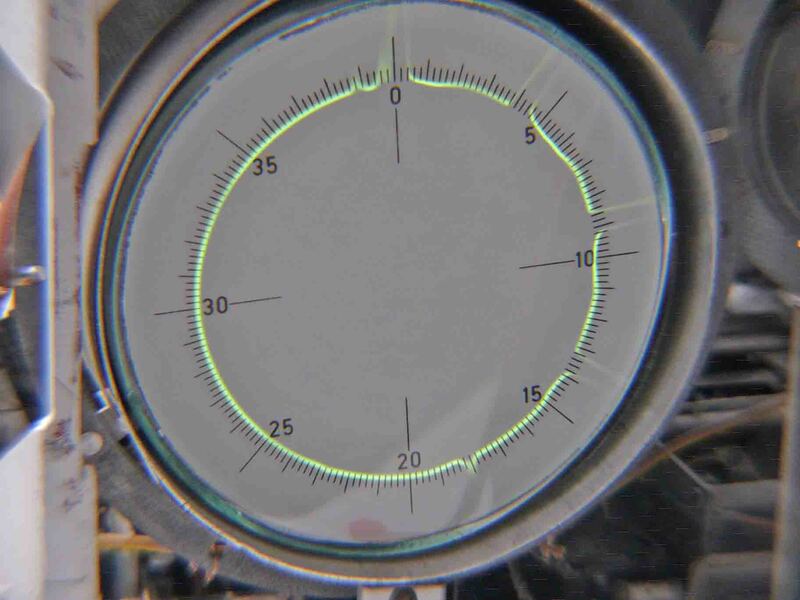 On a cathode ray tube, a LB 13/40 you could read the distance to the target in 2 ranges, eg. 40 km or 80 km range. 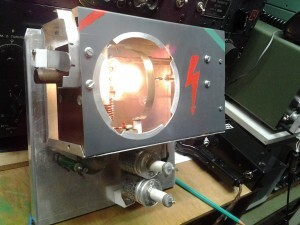 Picture at CRT, a target on a distance of 18 km. Picture taken by Arthur Bauer, PA0AOB. There are still some Wurzberg’s left here in The Netherlands. For instance one in the Liberation museum at Overloon,which is very complete, and one at the Planetron in Dwingeloo. Both are sadly suffering from weather influences, because they are placed outside in the open air. If nothing is done, they are rusting away. That would be a pity. Another existing Wurzberg at Dwingeloo, the Netherlands at this moment, 8-10-2015, at the Planetron. A very beautiful picture taken of Wurzberg’s , in use in the past, and the new build 25 meter telescope , at Dwingeloo, The Netherlands in 1956. The Wurzberg in the front moved to the Wehr Museum in Munchen some years ago. The other also is not there anymore. If they were still there, it would be a great acquistion for the whole complex, they could have been restored, just like the 25 meter telescope has been now and is in use now by Camras, a special group, including radio amateurs. With the help of the Dwingeloo telescope, not used any more for observations by ASTRON-JIVE, CAMRAS people receives the signals for instance of pulsars at a frequency of 403 Mhz with a special Hewlett Packard receiver. 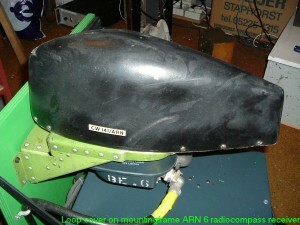 A HORN antenne is placed in the focus of the dish. But also other observations. Also they use it by making”moonbounce” transmissions in the amateur bands. After the war , most of the Wurzberg dishes in The Netherlands, were used for observation the H2 gas radio signals at a wave lenght of 21 cm, coming from milk way star galaxies. To get more details in observations, made by the Wurzberg’s, the 25 meter telescope was build in 1956. This leaded by Prof. C.A. Muller, With the Dwingeloo telescope they could make a picture, just seen from of our earth position, of our Galaxy in the Milky Way. The picture was not to detailed, but the form was good to see, so getting a well impression. Later on, they build the Westerbork, synthese telescope. Pictures were much better in detail, then the Dwingeloo telescope. Important observations with the Dwingeloo telescope stopped after some years. Nowadays they almost finished Lofar (Low Frequency Array) antenna system, working on a frequency of 180 – 400 Mhz. A much more better system, in international cooperation, is to be developed, SKA (Square Kilometer Array) with antenna systems in South Africa (SKA 1 MID) and West Australia (SKA 1 LOW). The SKA MID is working at 350 Mhz – 14 Ghz. Data collected in one second is 2 terrabyte, per year it is 60 exabyte. Enouth to fill 340.000 average laptops every day. Because the hugh amount of collected data, special supercomputers are devoloped to make all these data to a detailed picture. 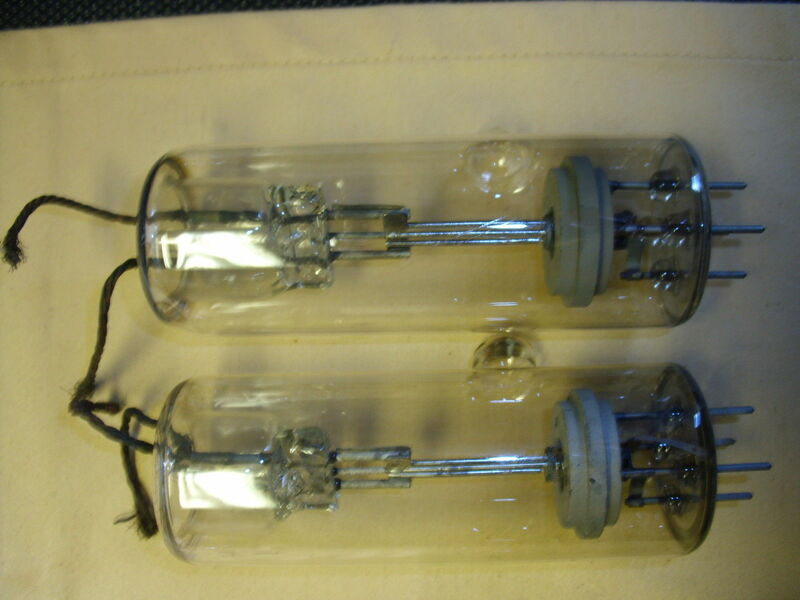 Transmitter valves LS 180. 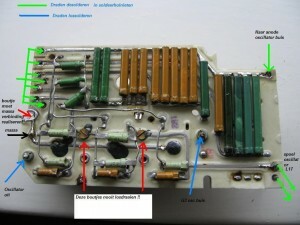 The copper wires at the left are the heater connections for 5,8 -6,2 volt. The real voltage to be used, is written on the glass of the tube. At the right inside the anode. Output 8 KW pulsed power. 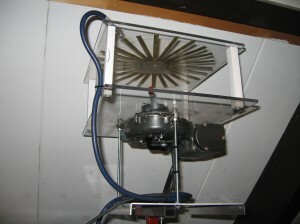 Input 12 – 16 KW pulsed power, air cooling. Grid blocking voltage 2,1 KV negative by 1,8 uS. Delivered by the Impuls Generator type IG 62 D.
Heater voltage 5,8 – 6,2 volts by 15 Ampere! Value written on the tube itselves. The front and above side. The front side. L21 is the output cupper strip, just above the anode inside the valve. 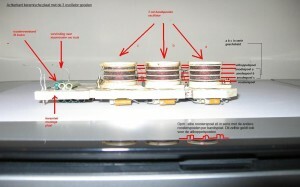 Below left, the condenser C6 and the 3 resistors in parrallel. The condenser (0,05 uF) and the 3 resistors (16 kohm) in parrallel are in serie with the 8,3 KV anode line. They take care, that the anode only draw current, when the condenser is disloading, when the valve is not blocked by his negative grid voltage. When the grid of the transmitter valve is fully negative at 2,1 KV, the valve is blocked, the condenser is loaded again. The anode gets no voltage are is drawing a current!. The next episode, the negative voltage on the grid is disappearing, the condenser is disloading to the anode , the valve is drawing current. An episode further the whole cyclus is starting again. It is like a safety circuit for the valve, because when the negative voltage on the grid has been disappeared by malfunctioning , the valve draws only current via the 16 kohm resistor. 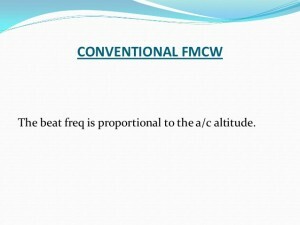 Note that the current is DC not AC. This will reduce his total input power. Even when it is dissipating this reduced power, other safety systems will work, so protecting the valve and probably exploding the transmitter unit. On the right the resistor for the heater voltage, when heater voltage is applied, this wire wound resistor is a bit glowing (I got no other resistor), because of the current of 15 amper is flowing in it. But that will be not a difficulty. Resistor will not burn away. 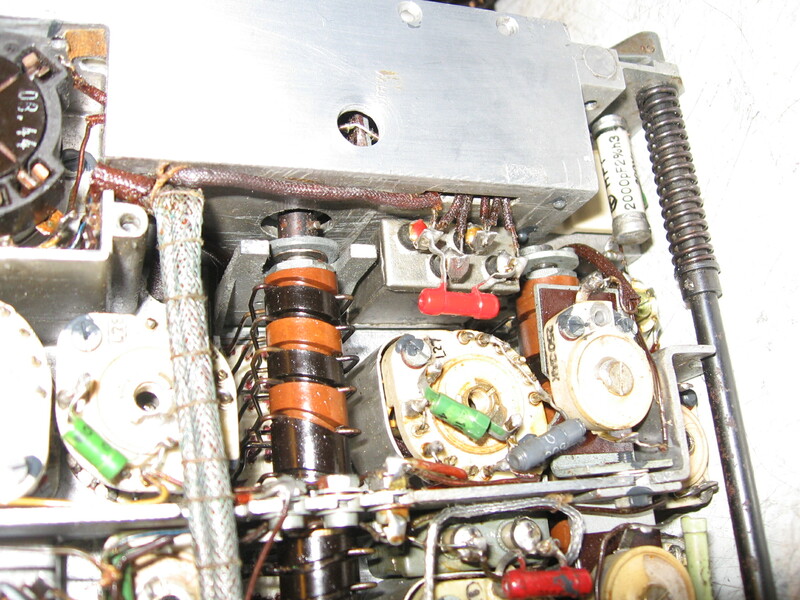 Just down the resistor, the supply connector for the heater voltage and the negative grid blocking voltage of 2,1 KV – 1,8 uS, coming from the puls generator type IG 62. At the left of the casing, you see a small handel. With this handle you can tune the anode lecher and the cathode lecher at the same time to the right frequency, to be used. The arrow warns you for the very high dangerous voltage. 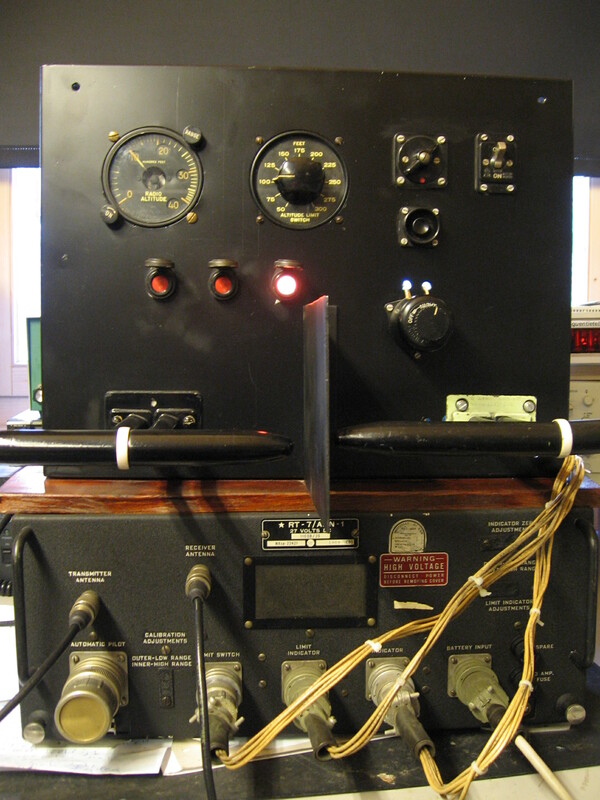 The red and the green stripe indicates, that the equipment was most secret. But not really, only the heater is glowing. A hell of light is there, all gets very warm too. I used a voltage of 5, 8 volt by 15 ampere for the heater. 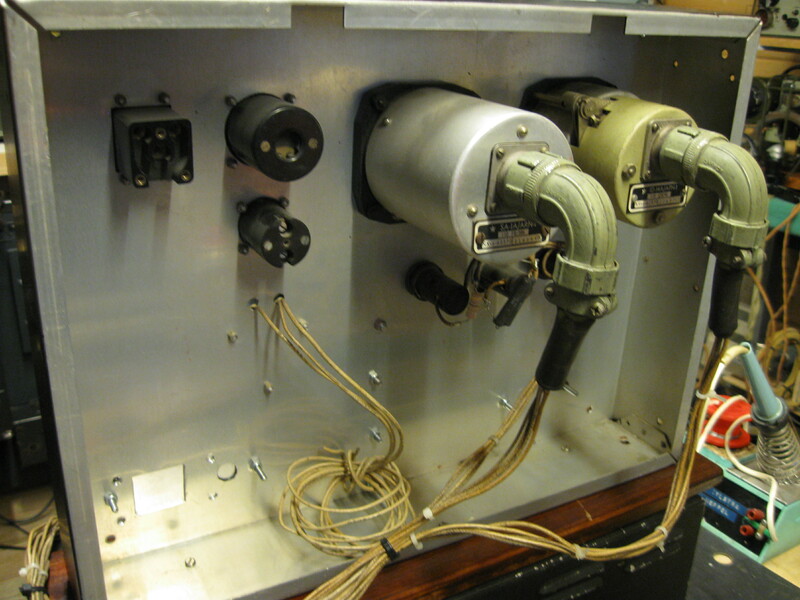 The cathode lecher line and tuning, also the heater connection. In the mid of the lecher line the tuning arm. which is tuning the length of the lecher, by shortcut a part, the quarter wave lenght for that frequency is established. The backside. The upperleft connector is used for the 8,3 KV. 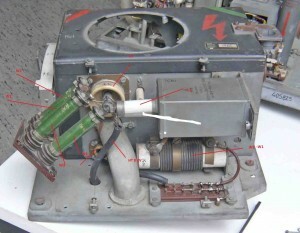 Also the connection cable (at the right) to the grid of the LS 180 is to bee seen. The circuit of the SU 62 D. It is just a “simple” power pulsed oscillator. You can see the grid and cathode lecher. Capacitor C2 is for the degree of coupling, to let the system oscillate. The output device of the transmitter is only a strip, which is coupled with the anode inside, through the glass, by inductance. 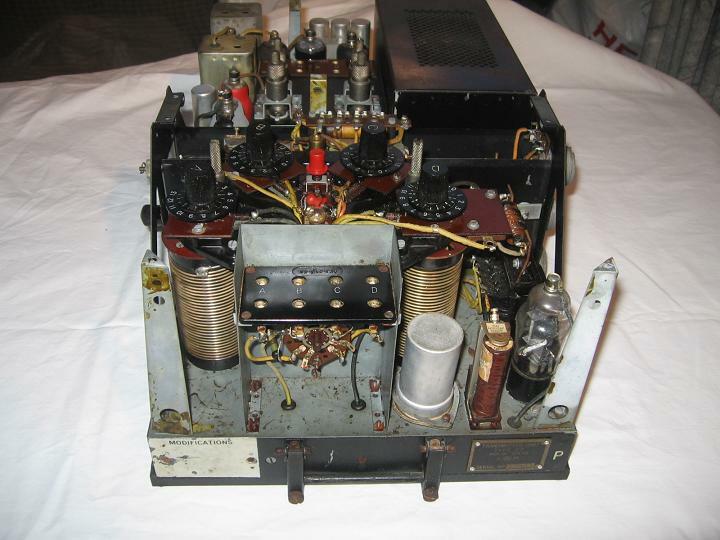 The original transmitter SU 62 D , a picture taken by Arthur Bauer, PA0 AOB from his transmitter unit during experiment to let it work. Till so far this post about the Wurzberg. Radio compass receivers from Bendix. This directonfinder receiver MN 26 is in fully working condition. Also functioning as a communication receiver in cinjumction with the TA 12 transmitter, just seen a bit on the right of the picture. 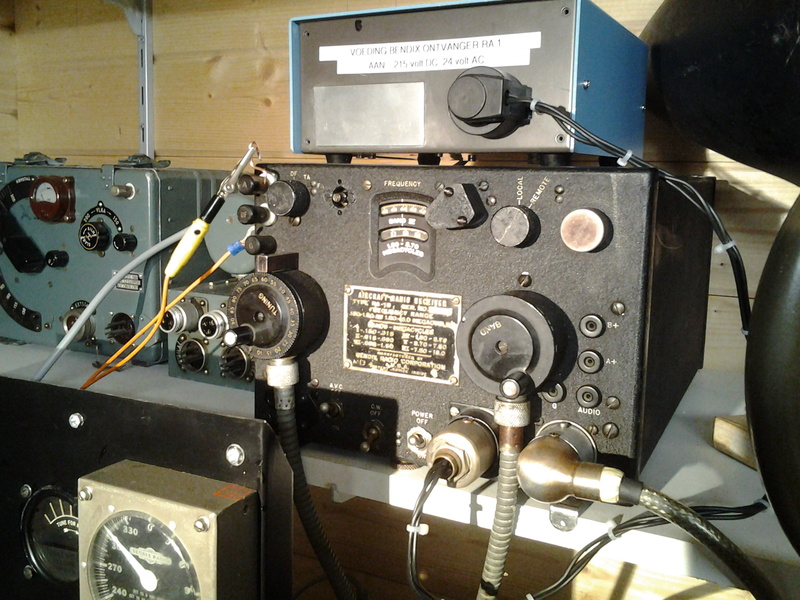 Here the MN 26 radiocompass and controll boxes. 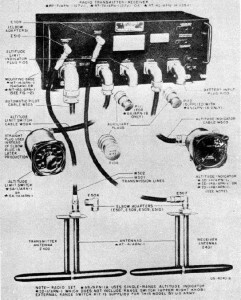 MT51-C remote control for the Transmitter TA12-B. MR9 frequency control box for the RA 10 DB receiver. 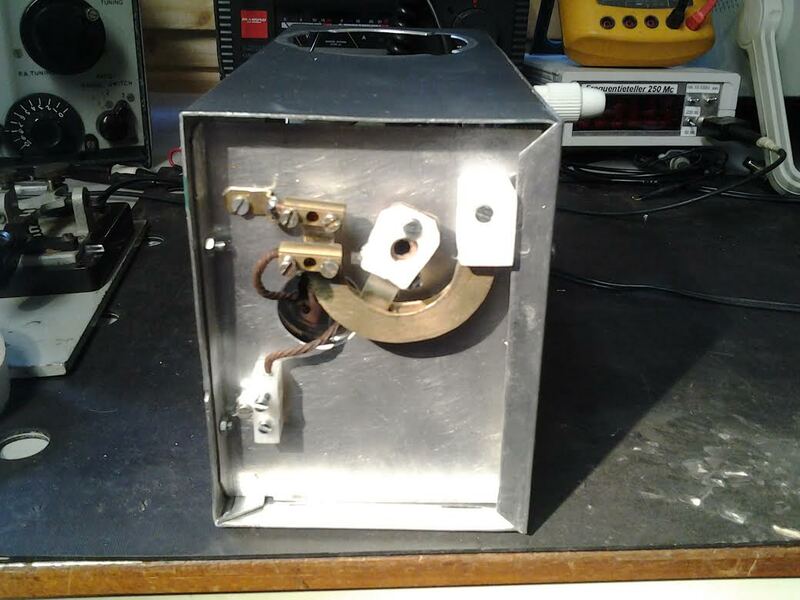 MN28-LB control box for the MN 26 receiver. The Ra 10 DB DF receiver above, the MN 26 -E below in the picture. 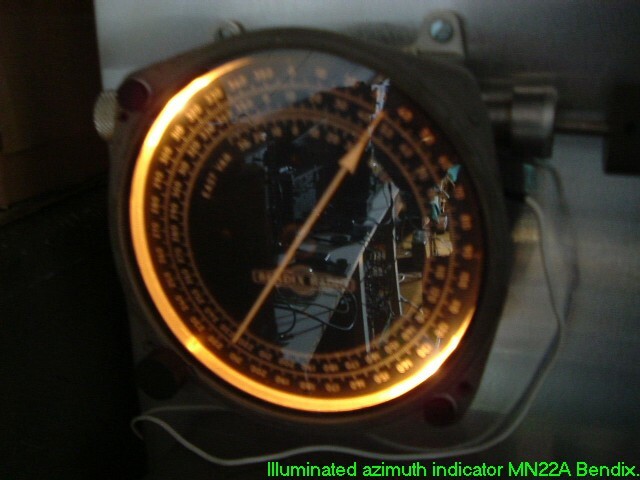 The Azimuth controller , indicating the direction of the beacon transmitter, piled up by the compass receiver MN 26. The pile up is done by turning the controller by a bowdenkabel. The BENDIX transmitter type TA 12-B. Transmitter TA 12, with 4 frequency bands, one for longwave and 3 for shortwave. 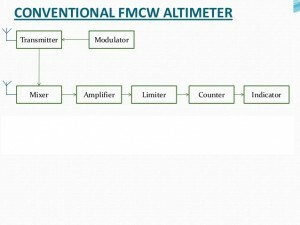 The funny thing is that each frequency band (four bands) has it’s own VFO and only one poweramplifier, but again 4 output tuning filters with variometer inductance, to match it to the antenna. 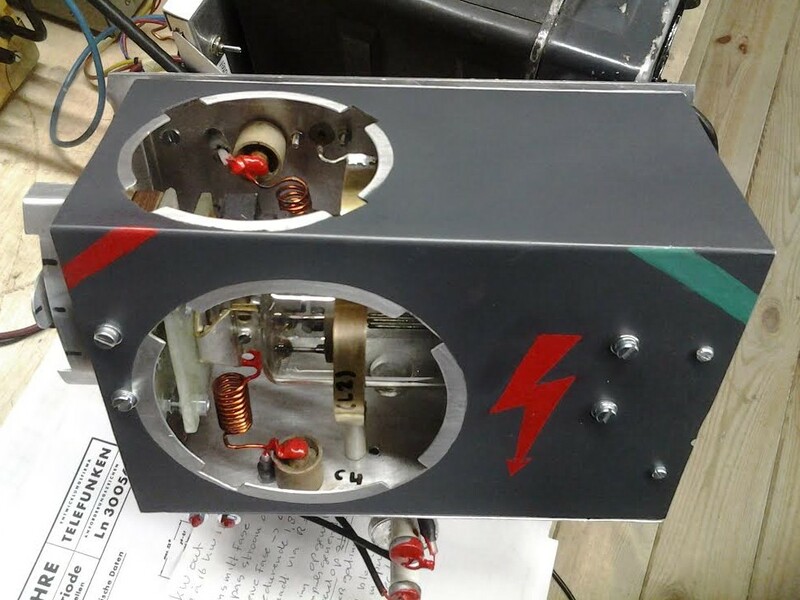 It delivers about 40 – 50 Watts on phone and CW. In the mid the earial current meter. 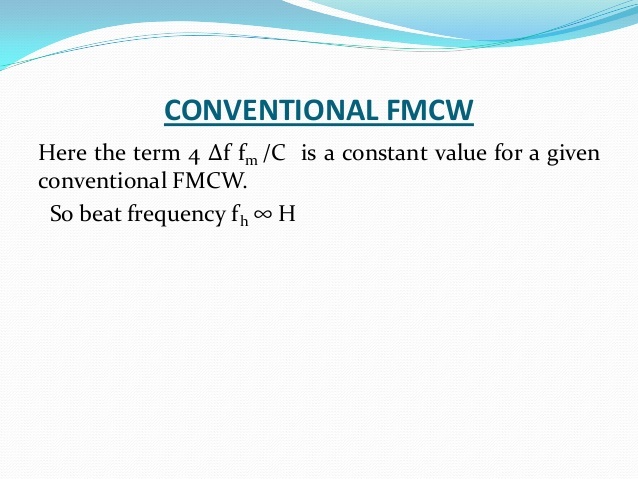 For an output impedance of 50 ohm, it will hardley give a current of course. 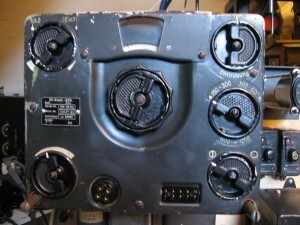 The four knobs at the left are the channel preselector tunings, for each wave band one. Left of the knobs are the channelnumbers you preselected. In the mid under you can see the knob for preselecting one of the four wave bands. 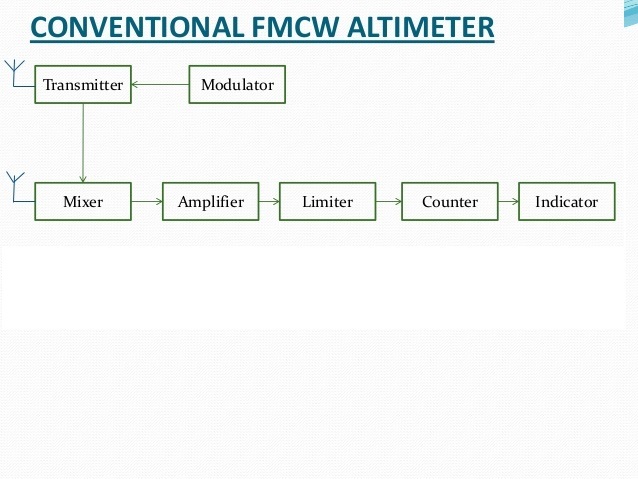 At the right are the four knobs for tuning, by variometer inductance, the output filters for matching the transmitter to the antenna, depending which waveband and channel you choose. 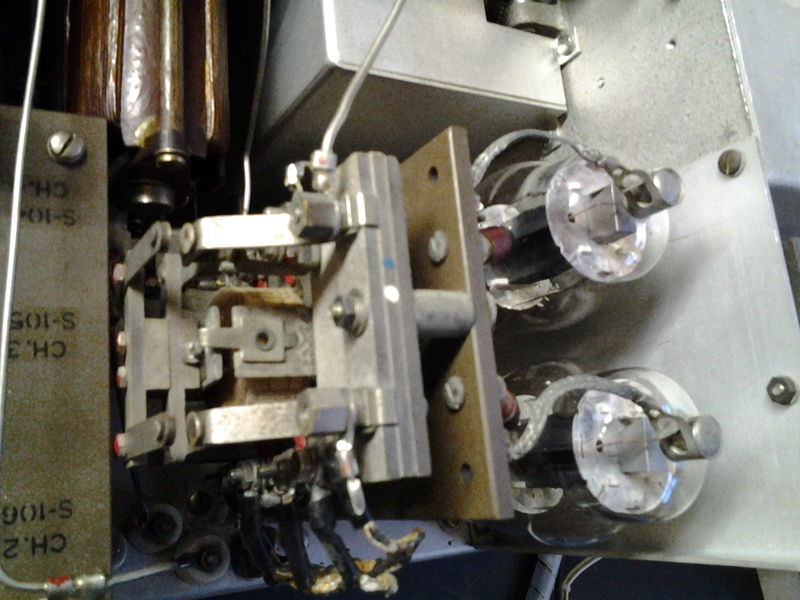 I use a separate modulator, homemade, with 2 valves 807 in the final. It is doing very well. Also a mains powersupply is used. 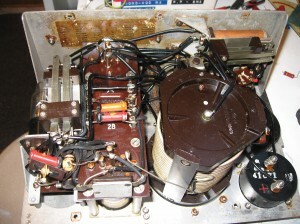 The upper view of the transmitter. The box at the right is the VFO compartment. 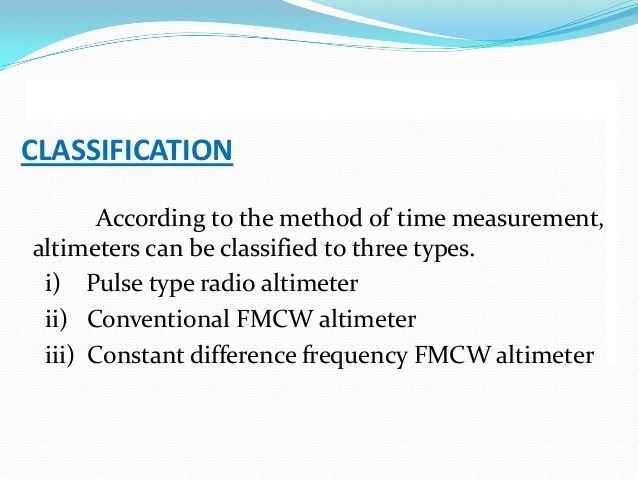 At the left upper, one of the four variometer inductances, four each band one. View at the power amplifier with relay for switching the antenna and HT to the amplifier. The 2 tubes are in parallel. 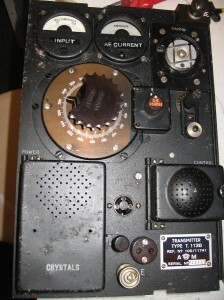 The under view of the transmitter. 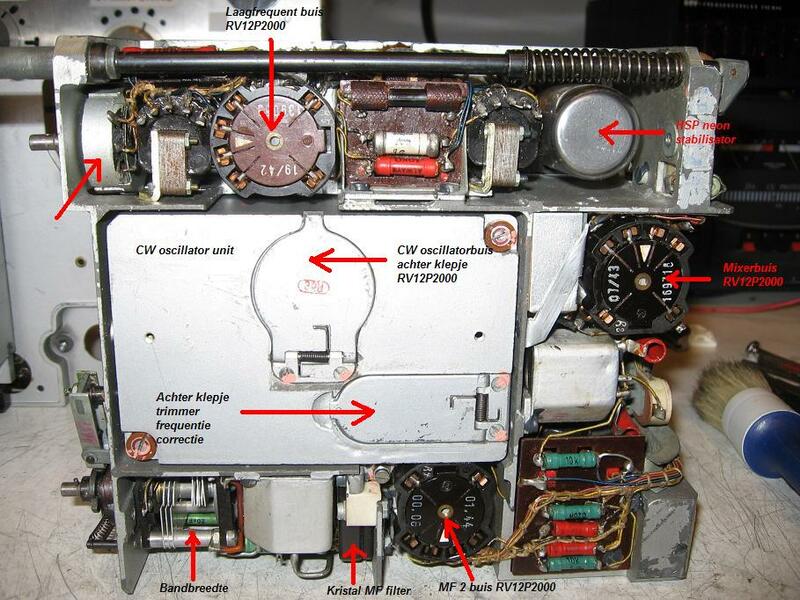 The motor for automatic channel switching at the left is missing. 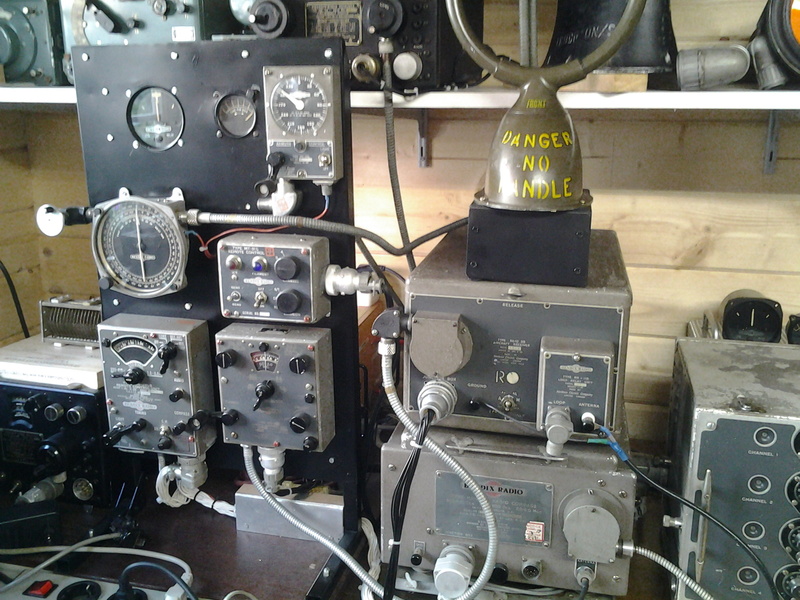 At the right, the VFO box again. 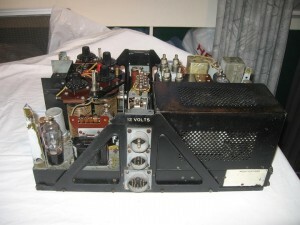 Side view with the four tubes of the seperate VFO parts. 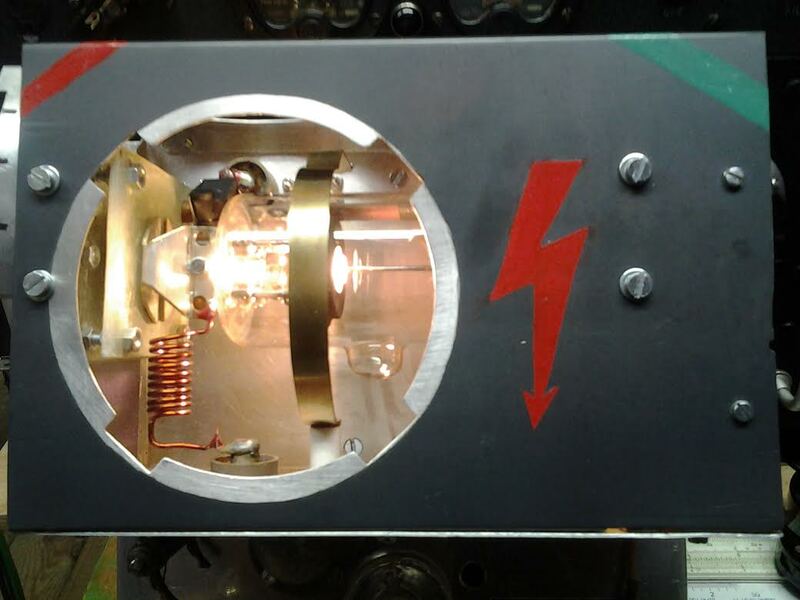 Each frequency band has it’s own VFO part, so also it’s own tube. Left up the power input connector. The direction finder SCR 269. The remote controll box of the SCR 269. 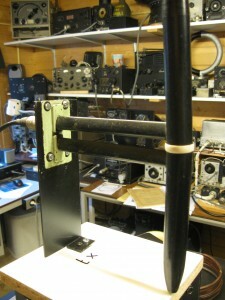 Above: The loopantenna type LP21 of the SCR 269 navigation installation. 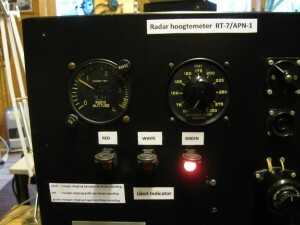 The direction finder type ARN 6. Also in working condition. I only need a 28 volts DC powersupply, No high tension is needed. 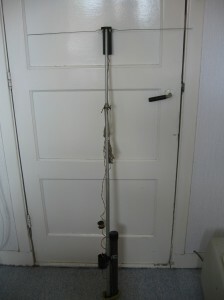 The automatic loopantenna of the ARN 6. 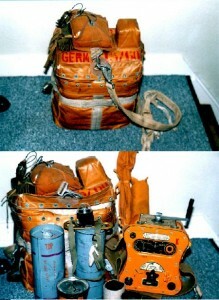 Aircraft receiving equipment type RA1-B. This receiver is a real old fashion general coverage receiver. Alle the wave bands are close after each other, when turning the wave band knob. When turning and reaching the end of the last waveband, you start again with the beginning of the first. 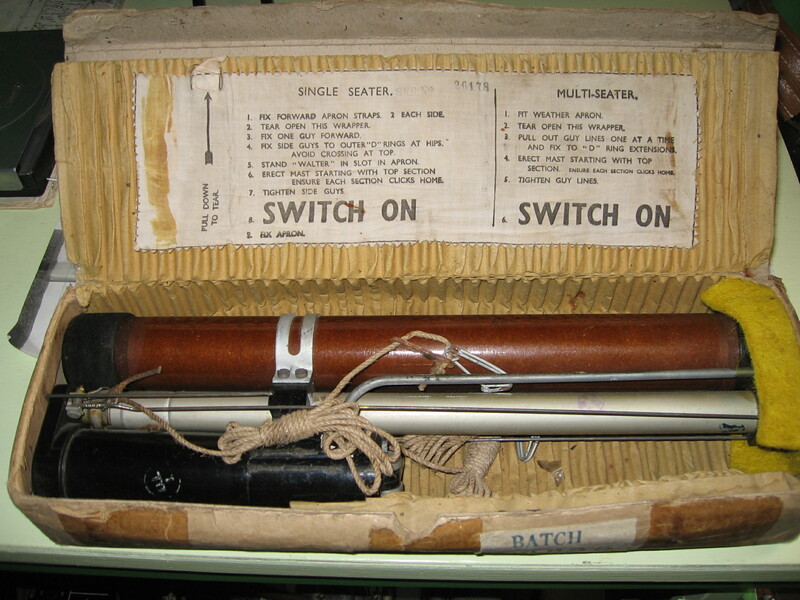 It was used for communication purpose, but also for direction finding. 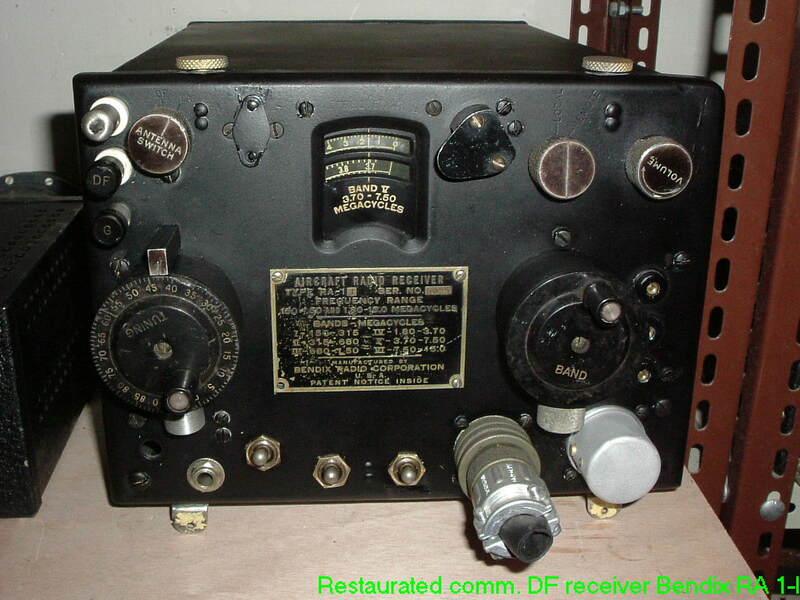 It is a wartime receiver. But also used after the war by the dutch KLM. It is a real nice, sensitive receiver, pretty stable in frequency at CW/SSB, only a bit broad medium frequency stage of 1, 6 Mhz. But receiving SSB signal is pretty possible, if the band is not to busy with other stations. 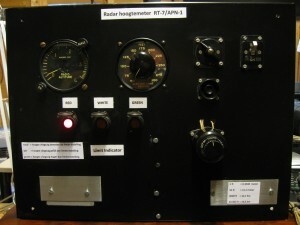 This is the Remote Controlbox of the RA1. Type MR-1B, in the condition I found it. The AVC on/off switch, the volume control is missing. Here the 2 original bowden cables for remote controlling the MR-1B. 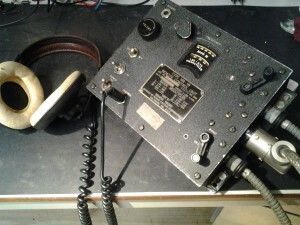 When I obtained this remote control, together with a RA-1J, it appeared to be a postwar (?) revision belonging to that RA-J. The RA1-J was a revised postwar (?) one, because it had an extra mode swtitch on it’s front. Three positions: CW, VOICE and RANGE. This switch was also located at. the front of the MR-1B. Watch also the missing switch : AVC on/off. 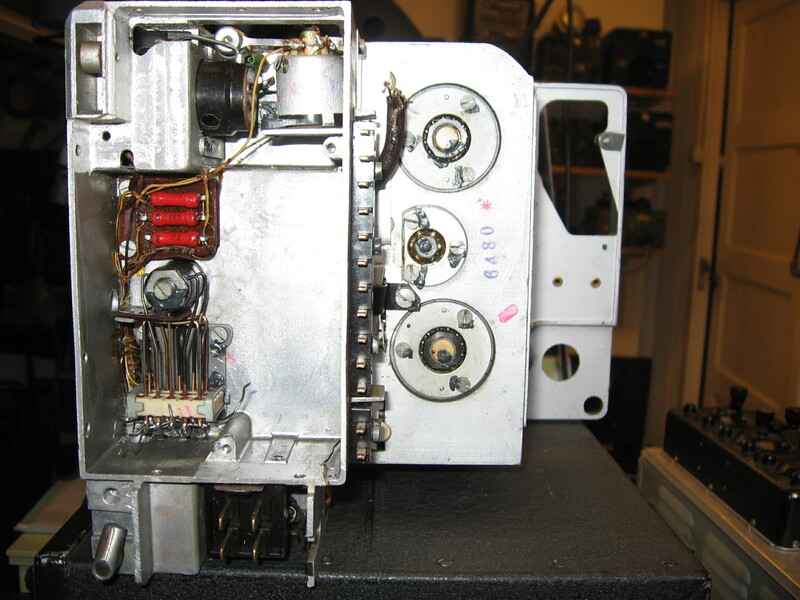 The both potentiometers inside were removed. I decided to modify it into an original MR-1B, suitable for my original wartime receiver RA-1B. Does anyone knows, which manufacturer it was, who carried out that revision? Also what year, and in what aircraft is was being used. I’m most grateful for more information. Pse let me know in the comment at the end of this post. Finally the restaurated ware time MR-1B. When the function switch at the front of the receiver is set at “remote”, all the facillities are available on the MR1-B. 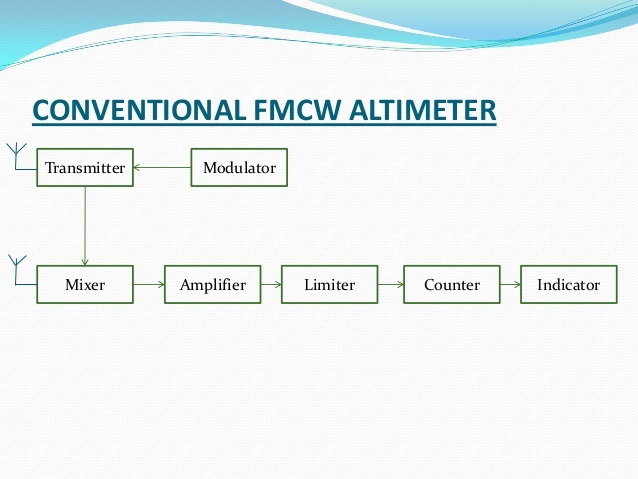 Like band switching, frequency control, CW oscillator on/off, AVC on/off, audio and volume control. 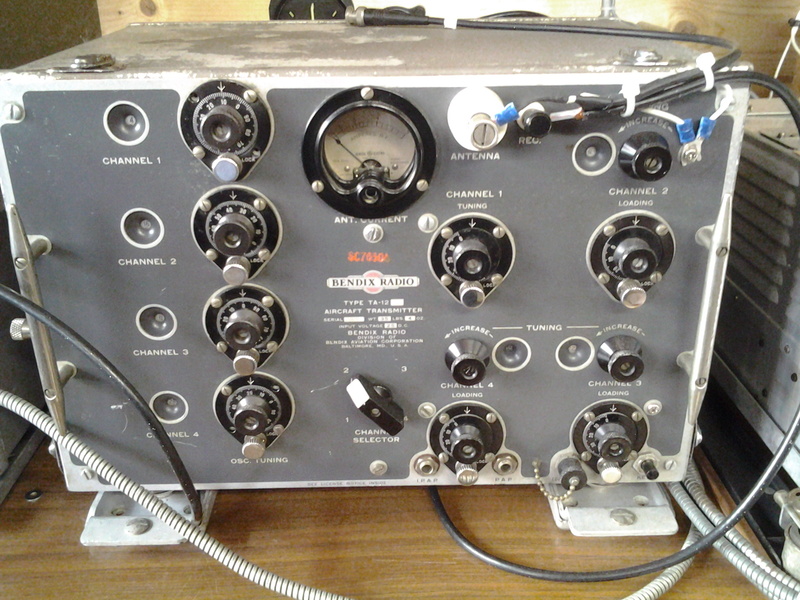 At the right of the box, you can see the connector and cable to the remote entrance on the receiver. 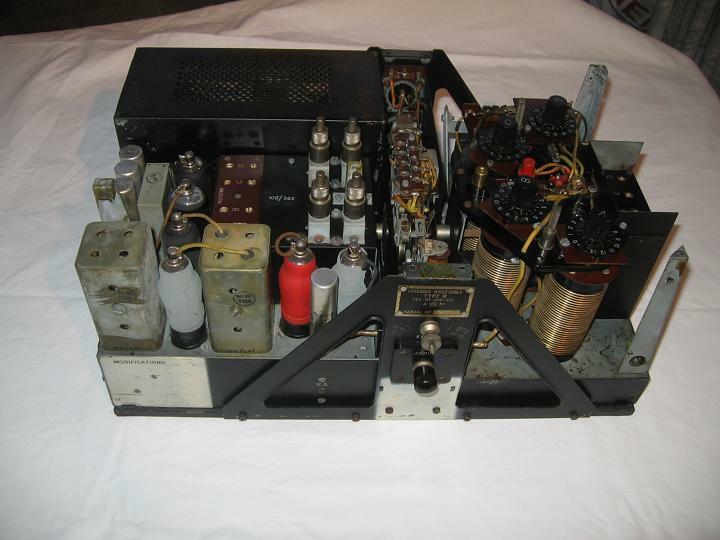 The RA1-B receiver at this moment, with mains powersupply, by lack of the original rotary transformer , stowed away on a shelve, far away of it’s remote controll. Watch the connector with cable at the right to the remote control MR-1B. Although a contactor is often explained as a kind of IFF device in several publications on internet, this is not true. A contactor, even if it is British or American, is actually a device for determining the position of an aircraft. It has nothing to do with identifying if an aircraft is a “friend” or “enemy”. (IFF). This signal was also called “PIP-SQUEAK” signal. It is a mechanical clock device with an electrical contact, which switches on a communication transmitter for 14 seconds every minute at a special frequency channel. 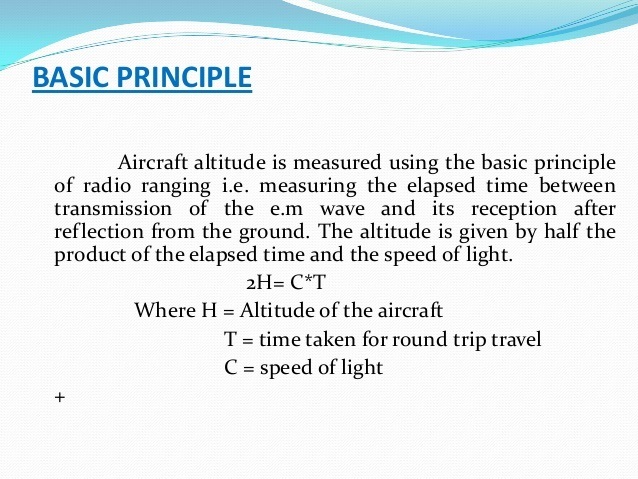 The direction finder stations home determine then by a cross sense the position of the aircraft. This contactor is often used in the SCR 522 VHF transmitter/receiver. The British types are used in fighterpanes, like spitfire, hurricane. A big part of the south-west coast of the British empire was divided in sectors. 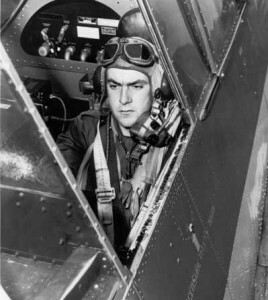 Each sector had his own airfields with fighterplanes. 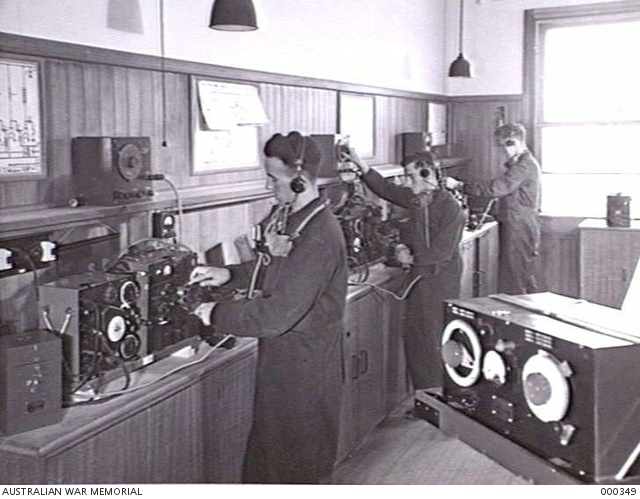 When a german attack was expected , radar (home chain) determined the location and direction of the ennemy planes. A certain sector was activated then. The fighterplanes of that sector went in the air to be lead to the ennemy. The direction finder stations of that sector (about 2 of them) could determine the position of their fighters by the “Pip-Squeak” signal caused by the contactor transmitter switch on. 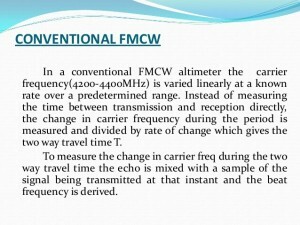 So by radio contact the could give eventually coarse corrections etc. 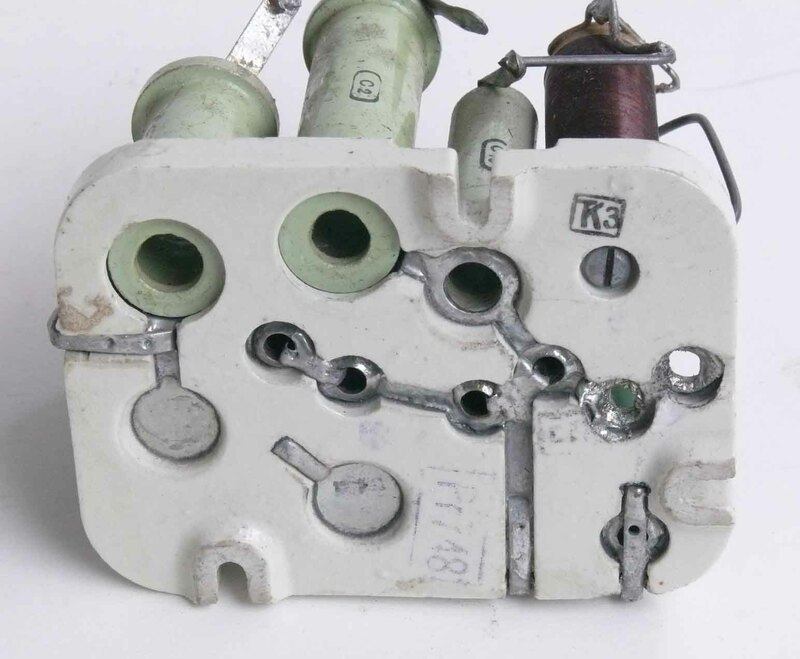 This picture above is a contactor, type BC 608: an American product. 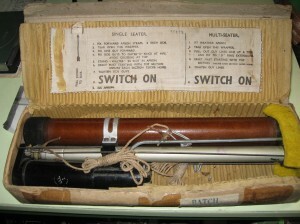 There have also been British types manufactured, for use in fighter planes. The switch on the left is used to activate or deactive the so called PIP-SQUEAK signal. 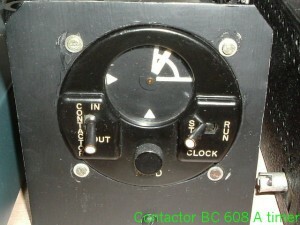 The switch on the right is used to activate or deactivate the clockwork of the BC 608. 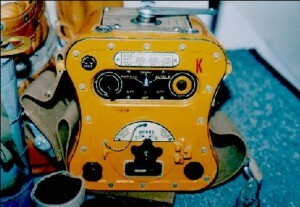 The knob in the middle is to rewind the clockwork. 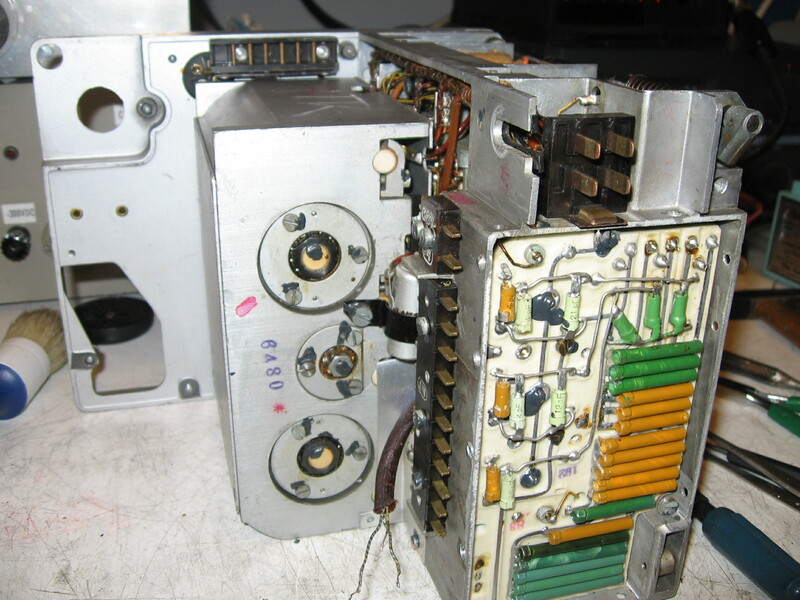 The quarter section as seen in the upper right in the display represents the 14 seconds read-off timer. The purpose is the same as that one mentioned before. It has been used a lot in the BATTLE of BRITAIN during WW2. 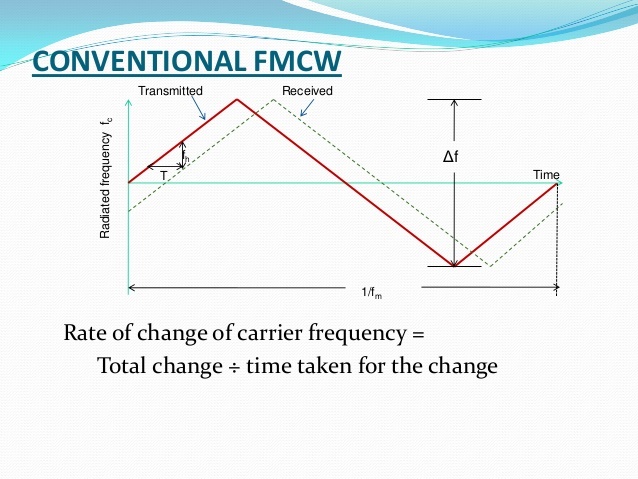 The contactor was switching on the transmitter , at a special frequency being not a communication channel, during equal intervals for some seconds. So the monitoring control centres knew exactly the position of the fighter planes by piling them up. If known, they directed the fighters to the locations of the ennemy bombers on their way to Britain, by another radio channel. The locations of the ennemy bombers were detected by the HOME CHAIN radar stations along the coast line. Pip squeak was an very effective way, leading the fighters to their targets. 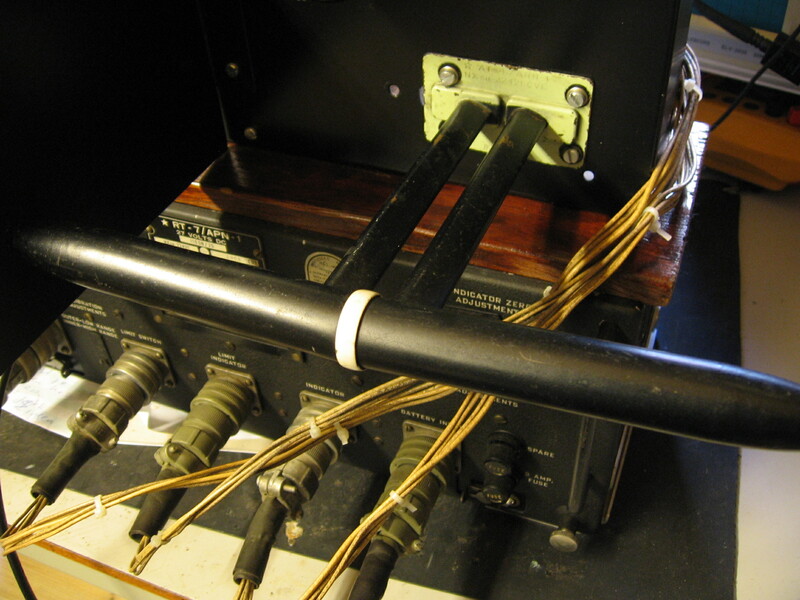 Here the Brittisch version of the contactor, mentioned before. It’s a type no 4. Cover of the right box has been removed. Left the remote contactor, which switches on the transmitter, often a TR9- D used in fighterplanes like the Spitfire. At the right the maincontactor. It is a mechanical clock, which steps forward the internal remote contactor relay. 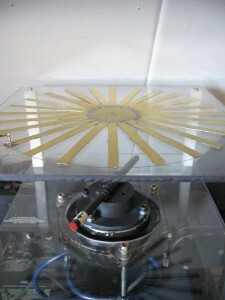 Can be seen by moving of the needle on the front. 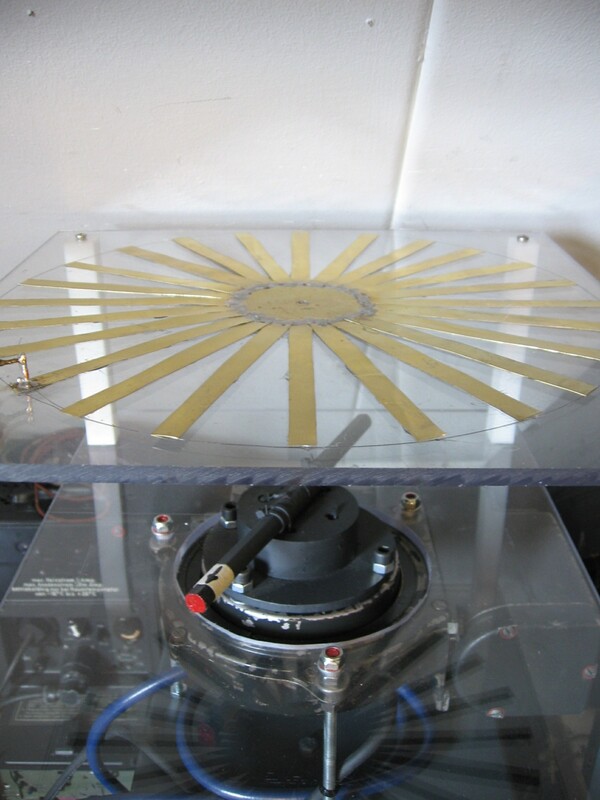 In the mechanical clock assembly, there is a heaterelement installed for maximum stability. In the middle of it a key, for winding up the clock. On the front of the remote contactor, there is that red part, which stands for 14 seconds. The whole scale is 1 minute. So the transmitter is switched on every 14 seconds of 1 minute. I have tested it on a seperate transmitter, and it workes very well. 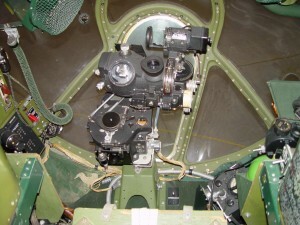 The remote contactor has been place on the right of the pilot seat, the master is placed behind the pilot seat. On the picture above, the same. Only the cover has been replaced. This has to be done because of the temparature stabilisation internally, which was for my test not so important.. The Aerial Artificial type 1A is used in the RAF for aligning the output transmitter stage of the pre-war T 1083 for test purposes. This type 1A is a prewar type. A schematic diagram is shown is picture 1. 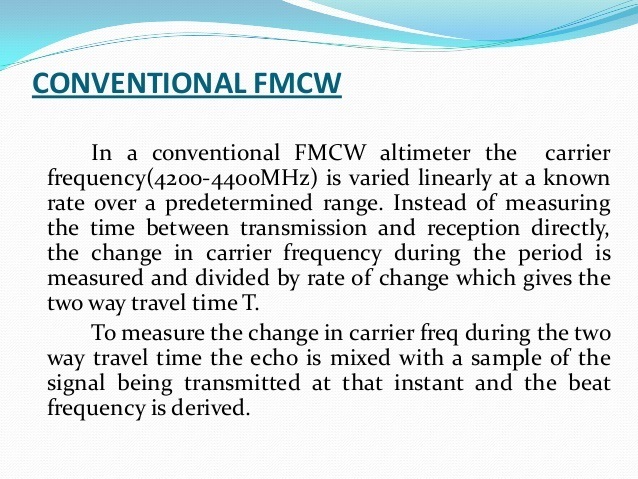 Note the different conections for the different frequence ranges. It can also be used very easily for aligning the TR 1196 or TR 9. The front and the electrical diagram. The front of my set. Aerial to be seen on the left on the shelve. 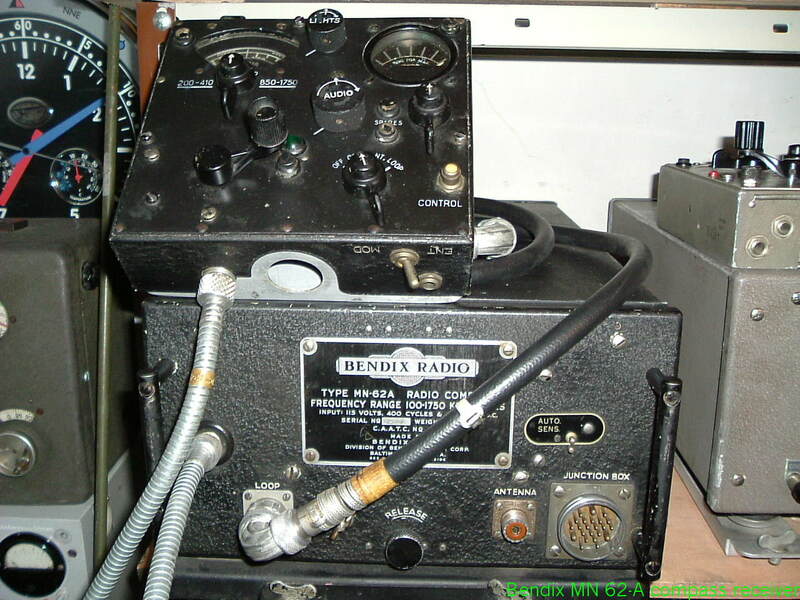 This is the pre war wellknown “SPITFIRE” sender receiver, type TR 9 F. Although the type 9 F is not used in it, but in the bigger aircrafts like Lancaster etc. 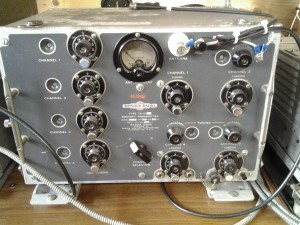 for communication between the airfieldtower and the aircraft in close distance. 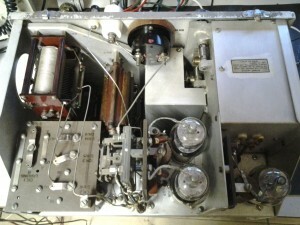 It is fully working in the 40 meter band with a crystal on 7078 Khz, amplitude modulated, by means of a intercommunication amplifier, type A 1368. For using this amplifier, I had to make the connectors and the plugboard myself. Normally a A 1134 is used. By lack of that type, to let it work, I used the A 1368 intercommunication amplifier. Pse some info in the COMMENT at the end of the page. 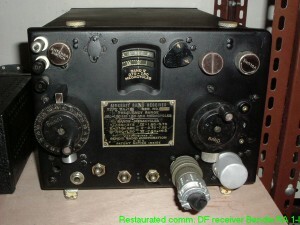 The TR 9-F transmitter/receiver in all original condition. 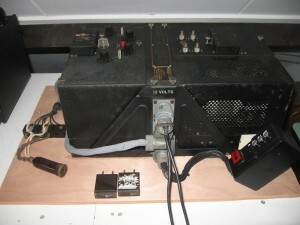 In front the copies of the plugboard etc, for connecting the amplifier to the TR 9. The power amplifier tube of the transmitter. 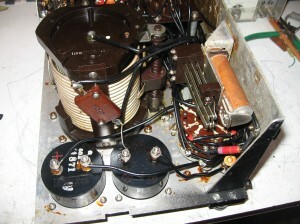 The power amplifier anode coil of the transmitter. RAF ” Walter ” RESCUE TRANSMITTER. 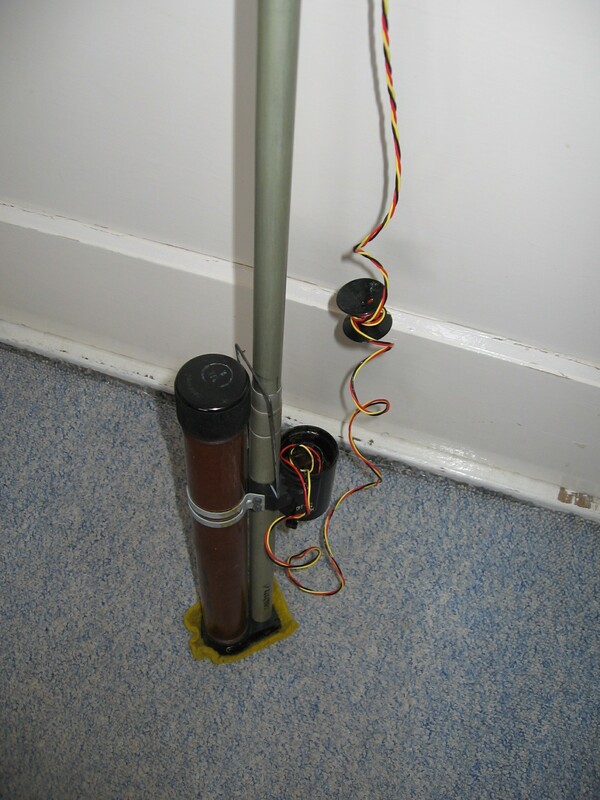 This is a very compact beacon used by crashed aircraftcrew from a single seater dinghy boat on the water. 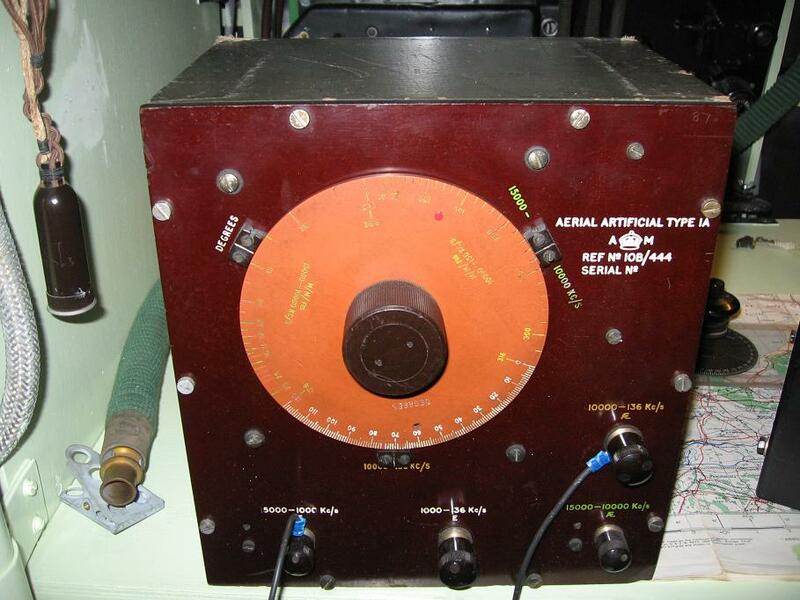 It operated on the Air ship to Vessel (ASV) radar beacon frequency of 177 Mhz. It signal could be received by airborne ASV mk2 radar sets or Rebecca mk 3b equipment in Coastel Command aircraft. The TR 3180 was a selfcontained unit, comprising a battery of 90 volts in waterproof case. earialmast and a smalltransmitter. 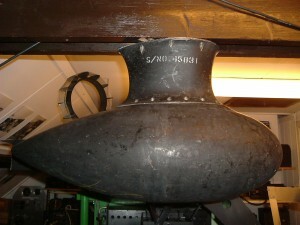 The earial was a small dipole type. 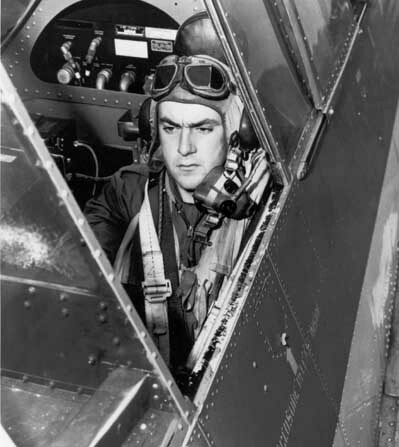 The range of the beacon was about 50 miles, if the aircraft was flying on an altitude of 4000 ft. The battery has a lifetime of 20 hours. The whole case with the complete beacon, including battery case and transmitter with dipole antenna. The transmitter with erected mast and dipole. 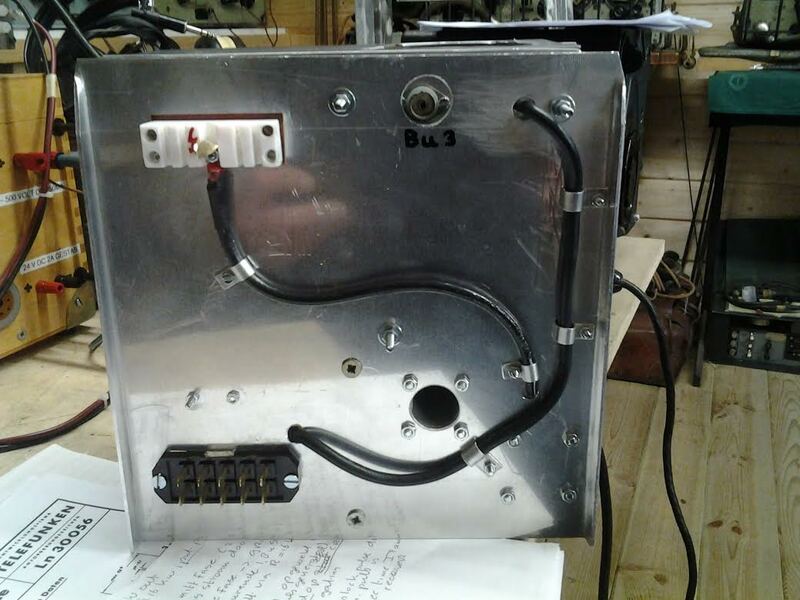 Above the dipole and transmitter, below the battery case. The battery case. 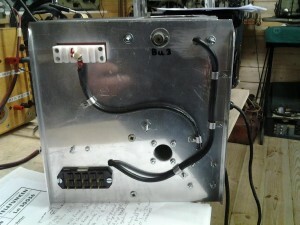 The wires are supplying the voltage to the transmitter. The dipole antennal on top of the mast. In the middle the transmitter. 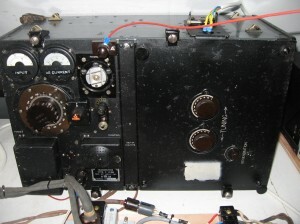 This is a transmitter-receiver used in airplanes like Lancaster etc. It is a four channel unit. For the receiver, as well as the transmitter, four crystals are used. It is remote controlled by a switch box. 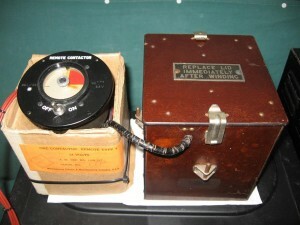 On the picture a replica controll box is used. But the whole unit is working. Supply voltage is 12 volts, which indicates it is an earlier one. Left the connection for the oxygenmask earphones and microphone. In the front the crystal types. 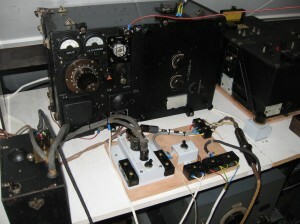 At the right the replica remote control box, for choosing one of the four channels and controlling the transmitter. 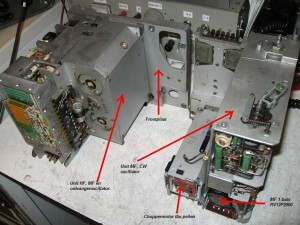 Left receiverpart and right the transmitter part. 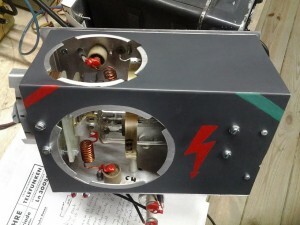 See also there the HF coils for matching the energy to the earial. 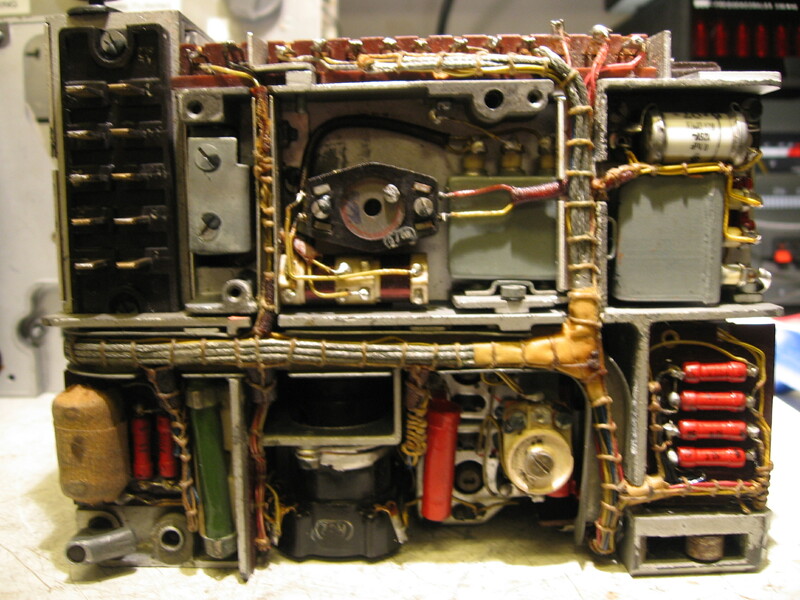 At the right front the alternator power supply. In front a good view on the crystal board of the transmitter. In front the earial- and ground connection and the type plate. Also the Air Ministry mark. The white earia is a modification chart. 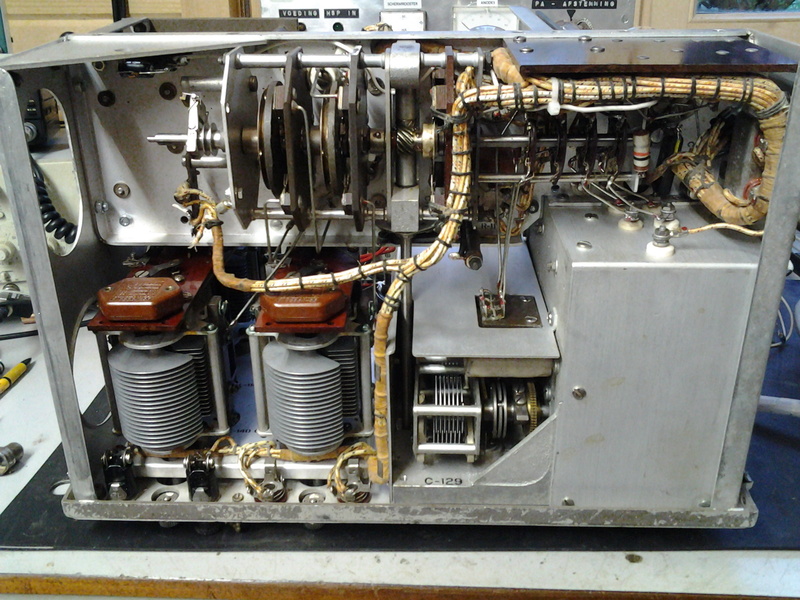 Left the transmitter with HF earial coils, for each channel one coil. In the mid the four tuning knobs for pre tuning the HF stages of the receiver for each channel. 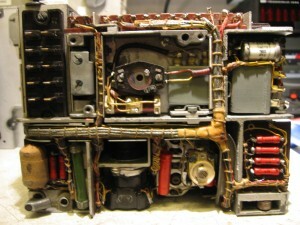 An overview of the chassis. A nice paper layout picture inside of the housing. It showes the components layout of the transmitterpart for service.